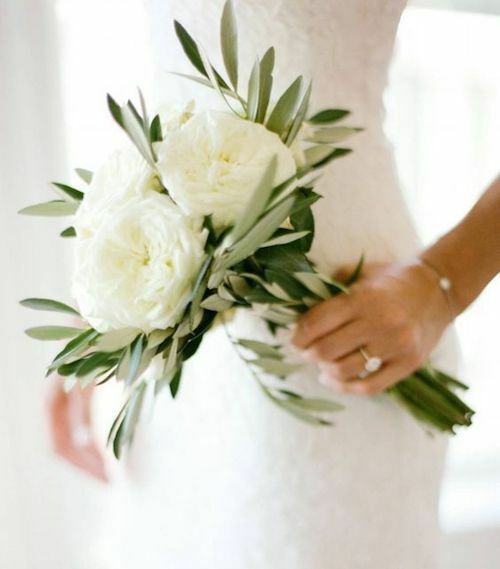 Today we’ll go over choosing a wedding bouquet that perfectly matches your wedding dress, figure and style. Follow these suggestions and guidelines to pick the most perfect bridal bouquet ever! 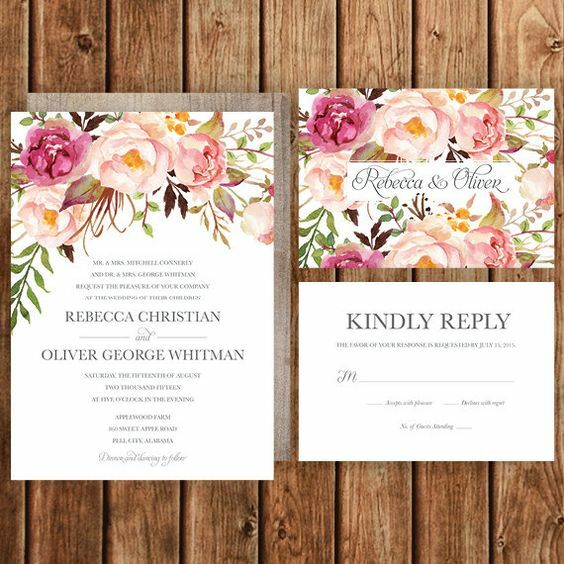 Classic glam floral design in white and blush. Photography: Jose Villa. Choosing a wedding bouquet is not just about picking your favorite flowers. 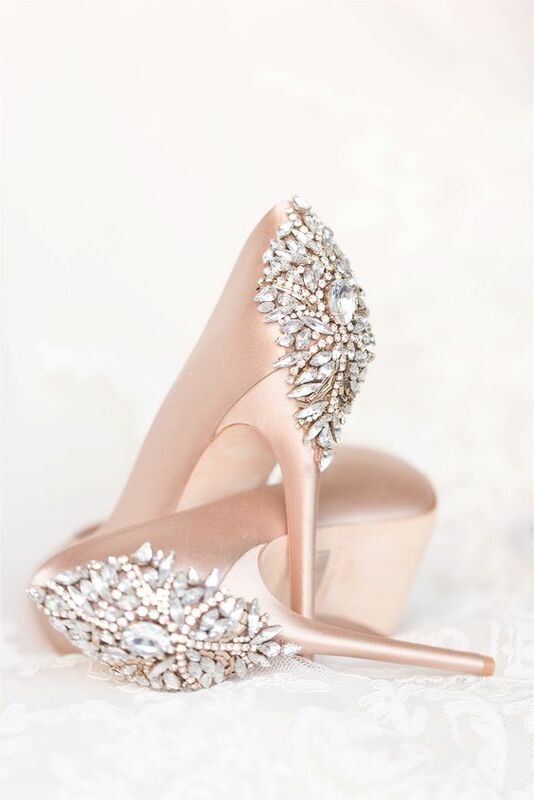 It’s about matching it to your wedding dress, your style and even about complementing your figure! So, if you are in the process of picking a wedding bouquet, read on. 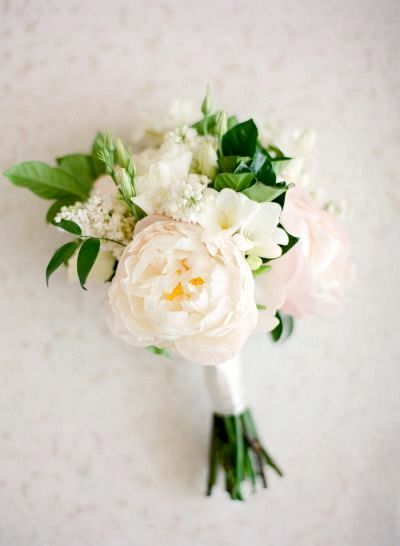 These tips will make choosing your perfect bridal flowers so much easier. First, let’s cover how to choose a wedding bouquet that complements your height and body type. This is the first thing you need to pay attention to. 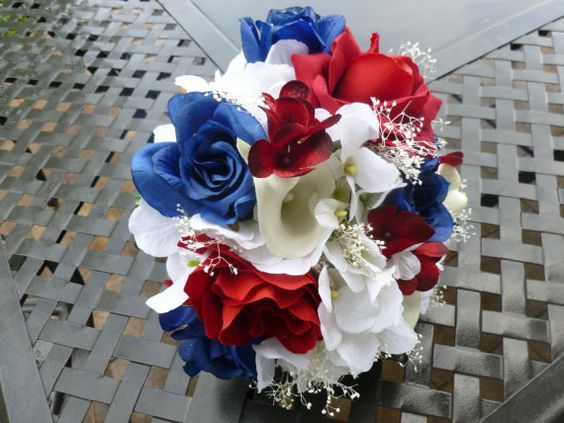 Yes, even more than color, flower type or bouquet style. A petite bride will look much better with a small and round flower bouquet like a posy o nosegay that a presentation bouquet. The flowers should not cover or overpower the bride. Now, if you are petite and still dying to carry a cascade bridal bouquet, go for a smaller version of it, the teardrop bouquet. 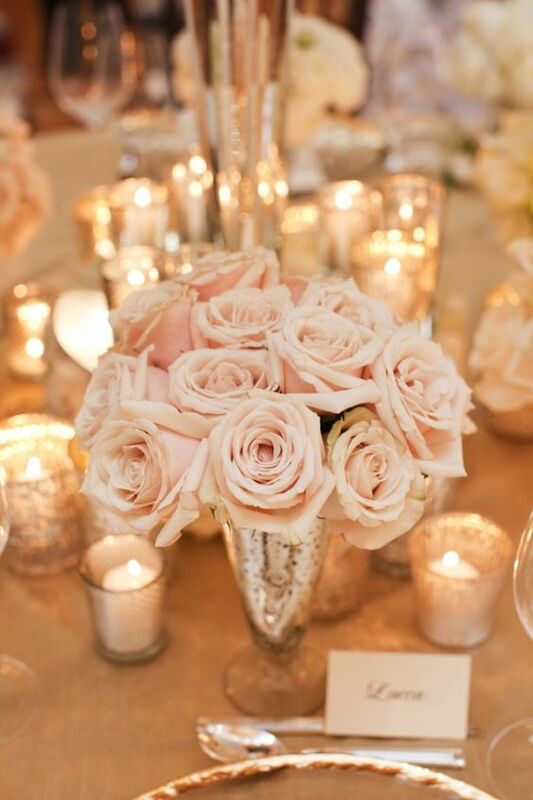 You can opt for short-stemmed flowers or cutting the stems shorter for the petite bridal floral design. On the other hand, a tall bride can go for a more voluminous or longer bouquet that will still show off her figure without minimizing its own importance. 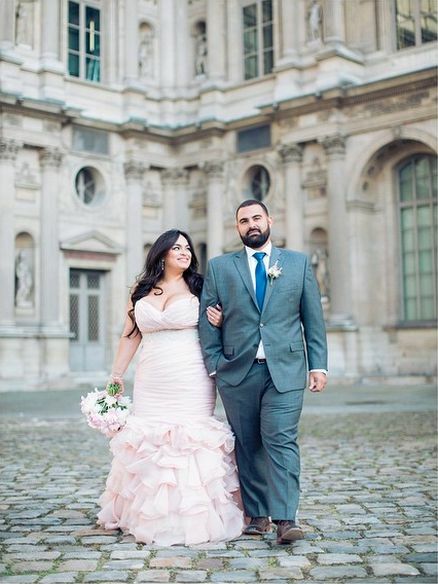 Full figured brides, just like their taller counterpart, can flaunt sizable flower arrangements while leaner brides should go for a narrower and lengthier bouquet. Play with the length of the stems and ribbons if you prefer a more manageable bunch of flowers. But always keep in mind that you shouldn’t be hiding behind a flower jungle. 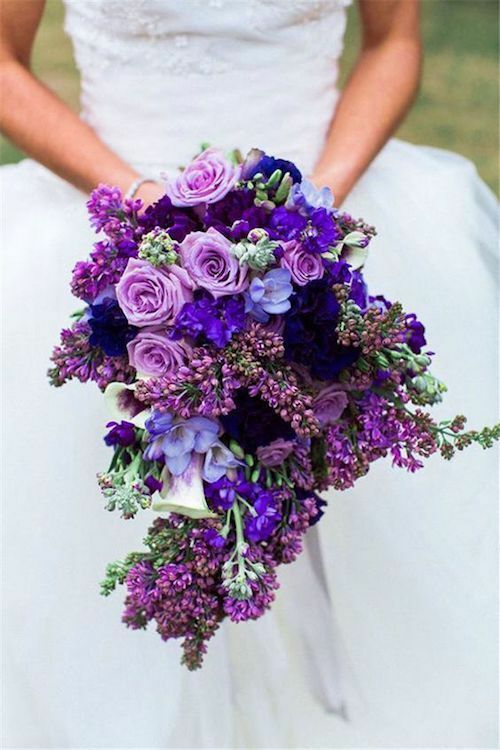 Ultra violet cascading bridal bouquet. Choosing a wedding bouquet. Long or short. 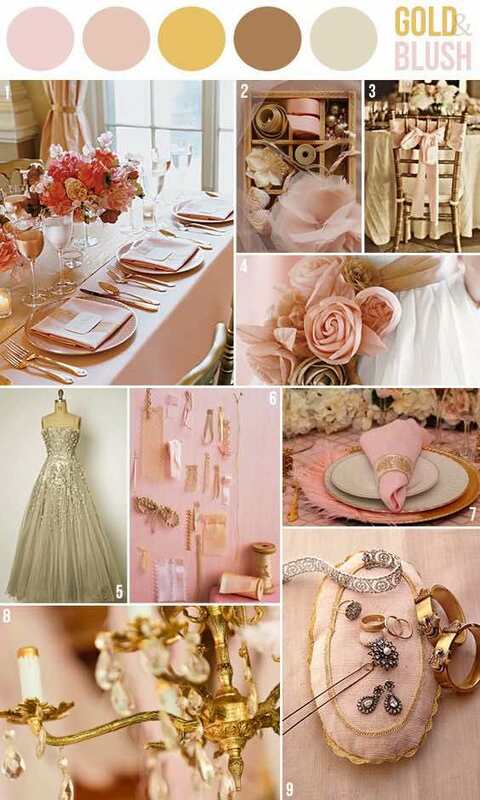 Now that you know what type of bridal floral design will make you look your best, let’s move onto the dress. 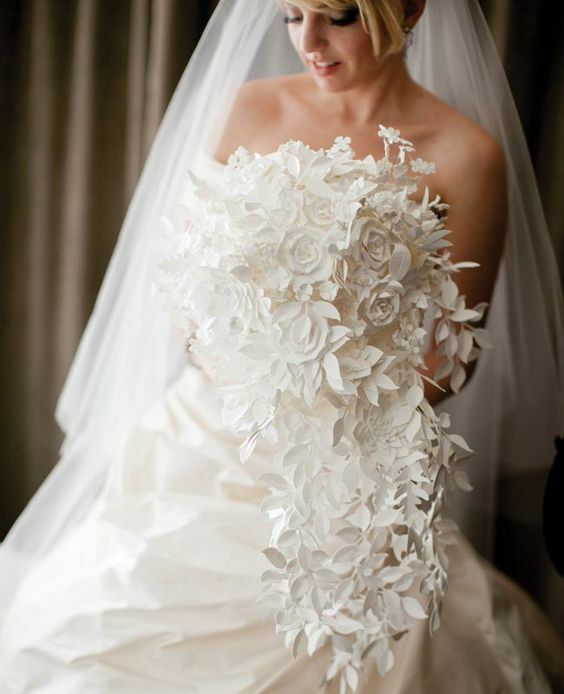 Choosing a wedding bouquet that matches and highlights the dress is of utmost importance. 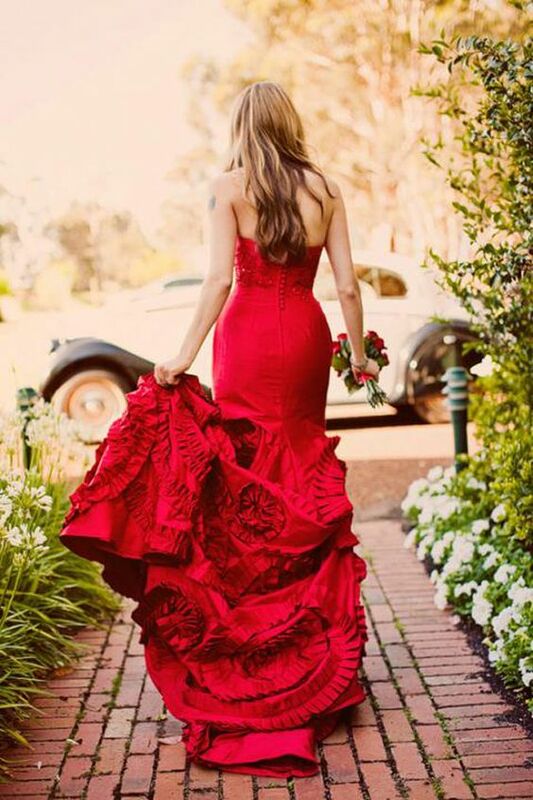 There are two characteristics of your dress that will dictate which floral bouquet is best. 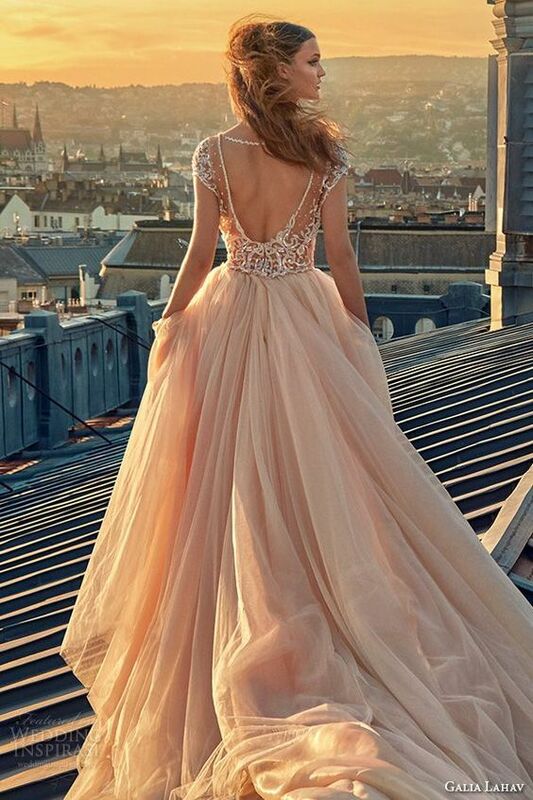 First, the wedding dress style. 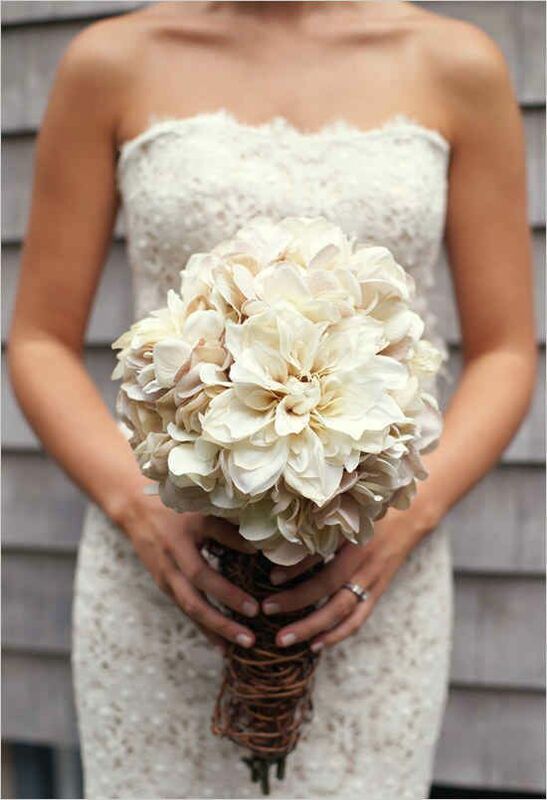 An elaborate dress will call for a more simple and subdued wedding bouquet. On the other hand, a simple dress can be complemented with a traditional bridal bouquet or with a single flower to emphasize the bride’s minimalistic style. 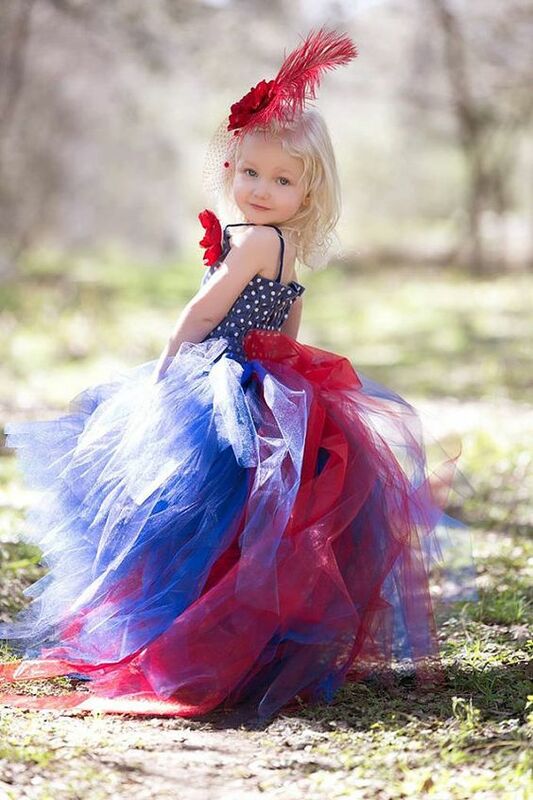 Second, the shape of the skirt can help. 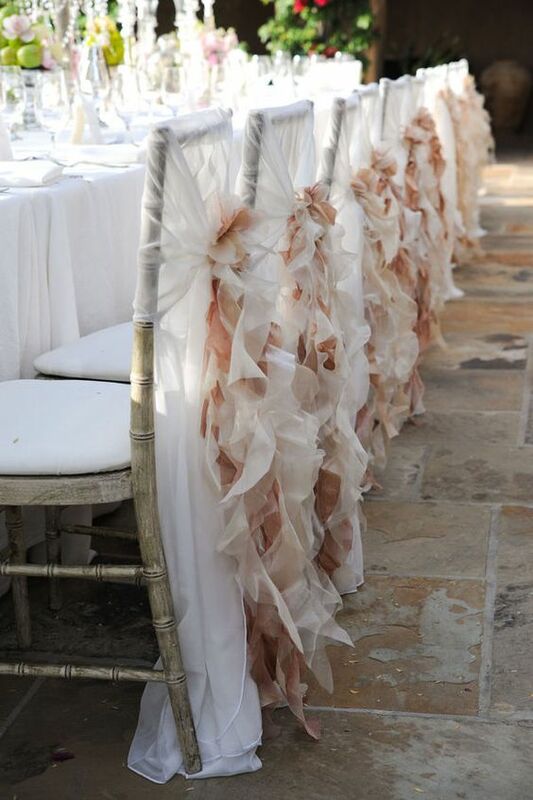 For puffed up skirts like ballgown or princess-cut dresses, elongated bouquets will look best. If your skirt is straight, choose a bouquet that is more rounded in shape. Eucalyptus, thistles and berries will give a touch of originality to the wedding bouquet. 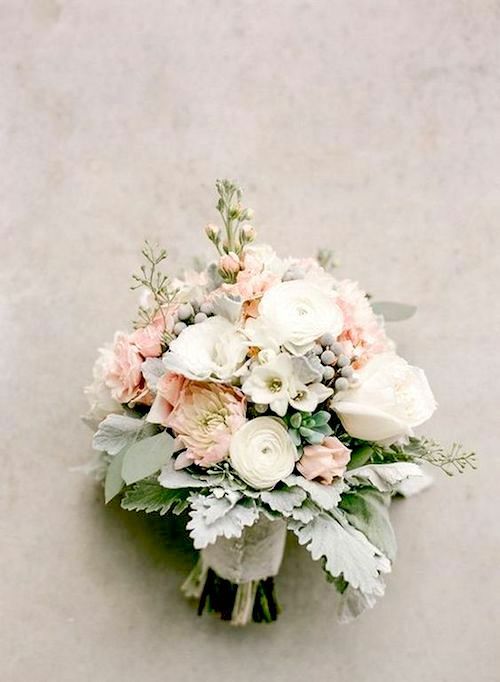 Add some sage leaves for good luck to this short stemmed blush pink bridal bouquet. Gorgeous fall wedding bouquet with anemones and ranunculus. 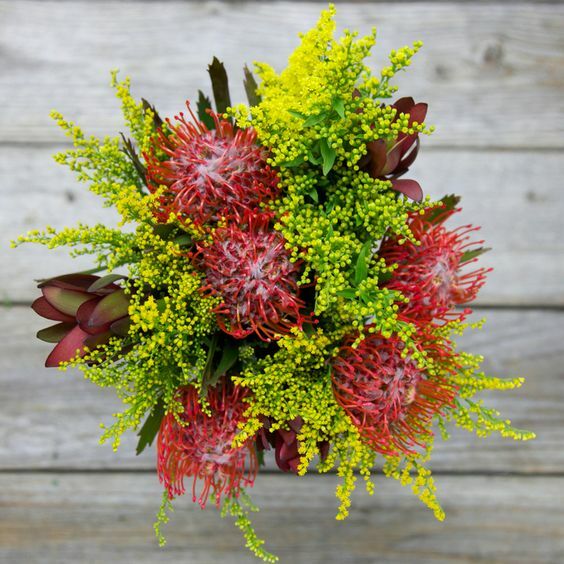 King protea and eucalyptus for a bouquet that will definitely leave an impression. 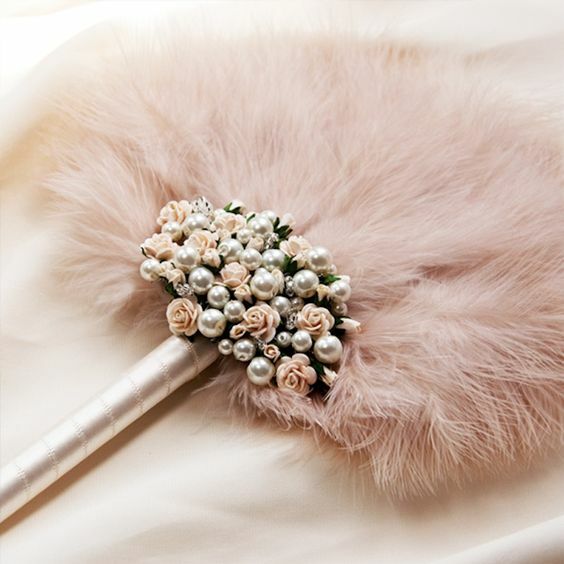 Your bridal bouquet is, after all, an accessory. And as such, it must match your style. Which one will it be? An overflowing, colorful crescent arrangement bursting with flowers? Or a simple and traditional white flower long stemmed posy bouquet? 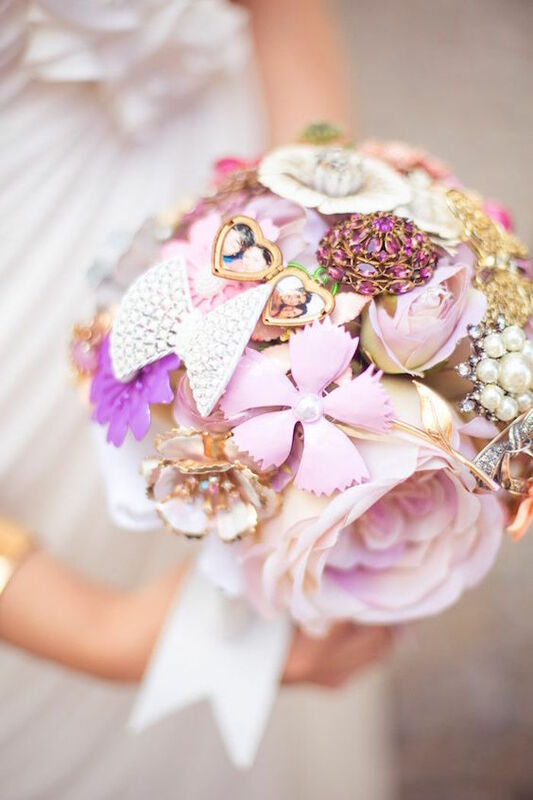 If bling is more your thing, a bridal bouquet with brooches, “jewel style” is very becoming. These beautiful arrangements made with pins, pearls and even rhinestones, do not need refrigeration or to be delivered the day of. But of course, watch out! Do not toss it! 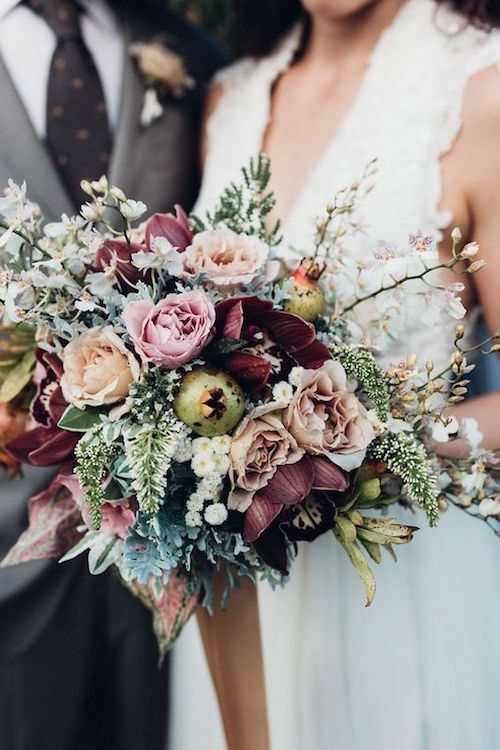 For the boho or ecologically-minded bride, a gorgeous and budget-friendly wild flower bouquet is on fleek. Another option is a single flower that is considerable in size, like a sunflower or a King Protea. 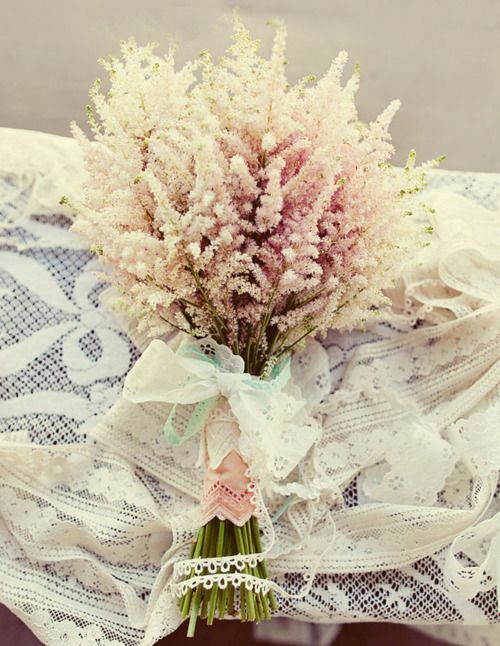 A lavender bouquet is ideal for bohemian chic brides. 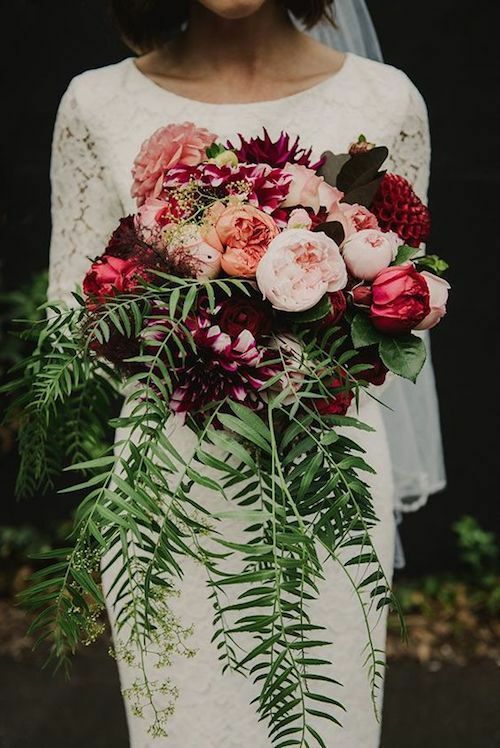 And for those who are planning on wearing a simple boho dress, consider a bouquet with strong and contrasting colors to highlight your look on the way to your “I do”. Vintage or urban brides can sport a glorious composite-bouquet with pastel toned roses and peonies or a romantic ballerina bouquet. If you are looking for an naive and ethereal feel that won’t break the bank, a baby’s breath arrangement will hit the spot and will be light and easy to carry. A bouquet of red roses is perfect for the passionate romantic bride. White hand-tied bouquet. Simple, modern and minimalistic. 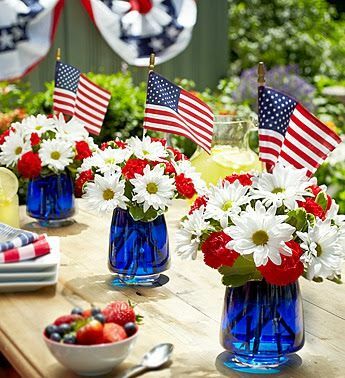 Summery flower arrangement. Photography: Leila Brewster. Floral Design: Hana Floral Design. 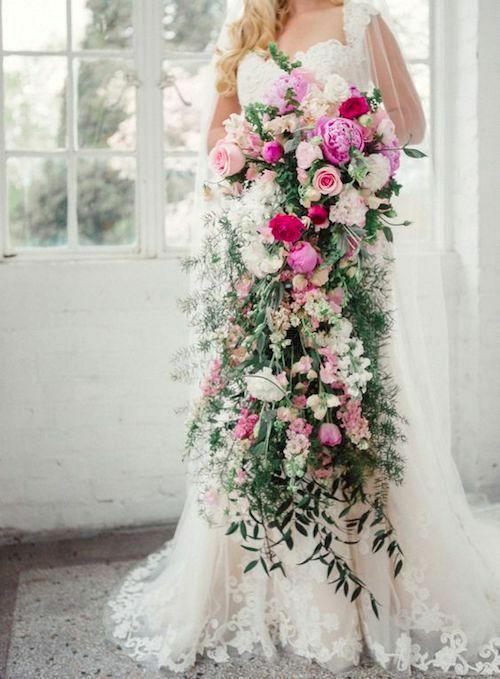 Impressive pink and greenery cascading bouquet for a very tall bride by L.B. Floral. Photography: jo photo online. Should your bridesmaids carry the same bouquet as the bride? Of course they can! Just a smaller version of it. The possibilities are truly endless when it comes down to bridal flowers. 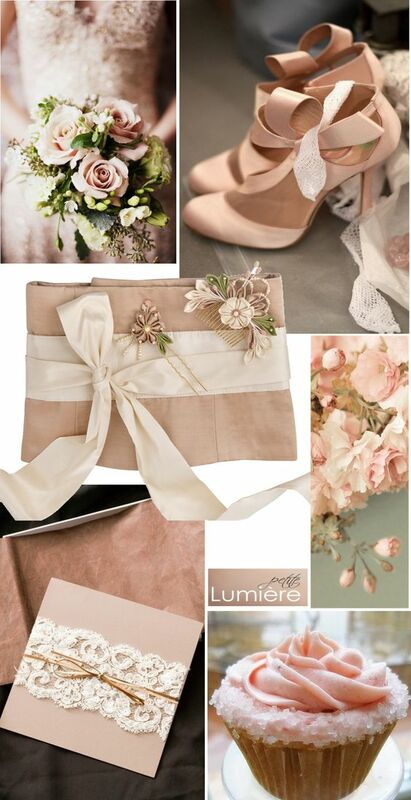 Go for the one that will reflect your personality and style to a T.
Why Do Brides Carry Flowers At Weddings? 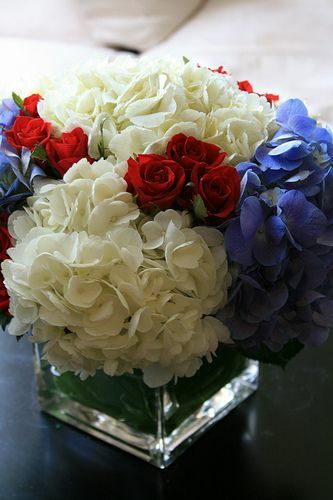 Each country has different bridal bouquet traditions. 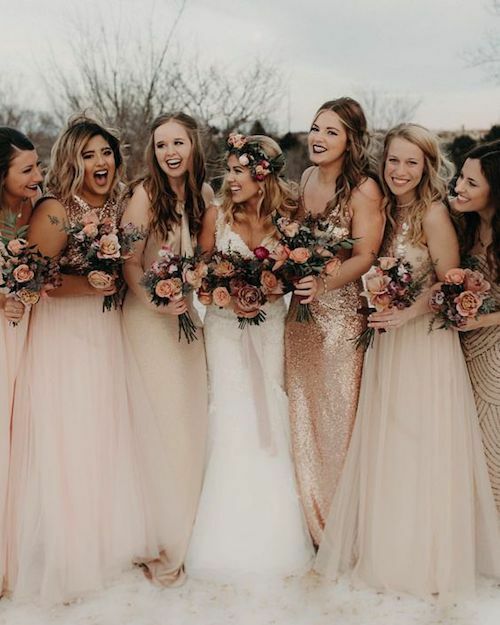 Some say that it has to be a gift given to the bride by the groom, others that the bride must toss the bouquet amongst single women so whoever catches it will be the next one to get married. 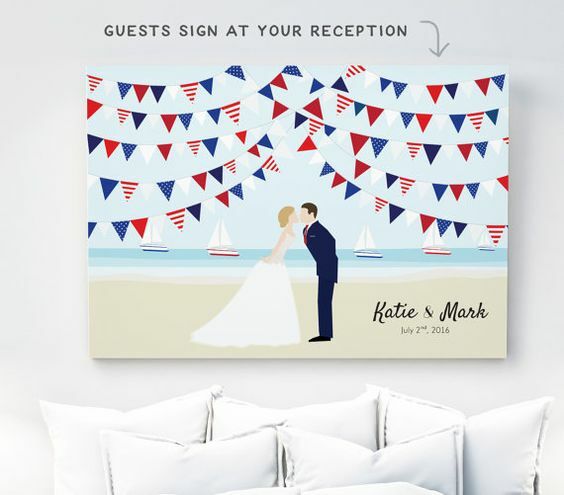 The new trend is to take it home as a memento of their wedding day. Enough tossing! But the true origin of the wedding bouquet dates back to centuries ago when the bride carried twigs and some herbs to scare off evil spirits. Basically, the evil eye. So if you believe in this tradition, add a few sage leaves to your bridal bouquet! 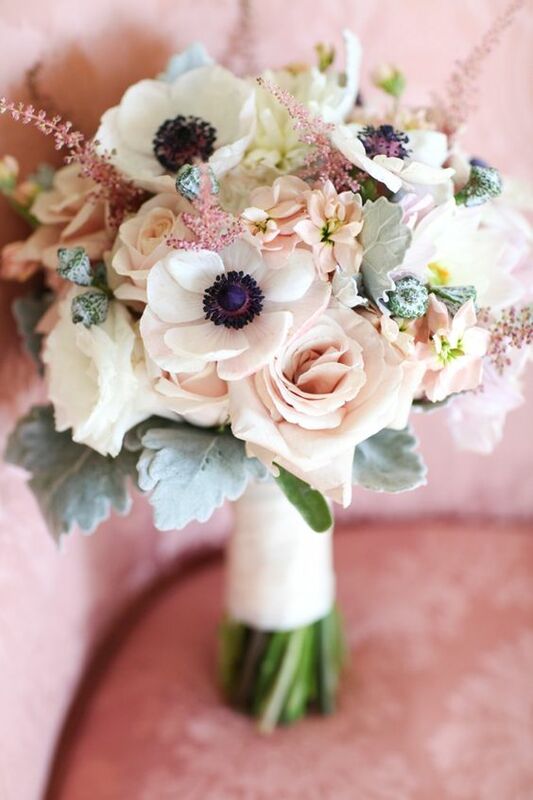 Moody colors on a super pretty tussy mussy wedding bouquet. Adorable and unstructured posy bouquet. 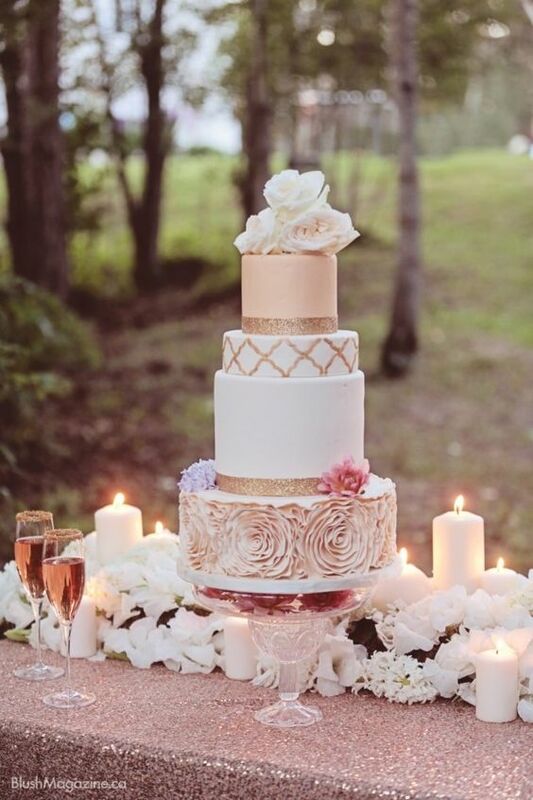 2018 wedding trends. 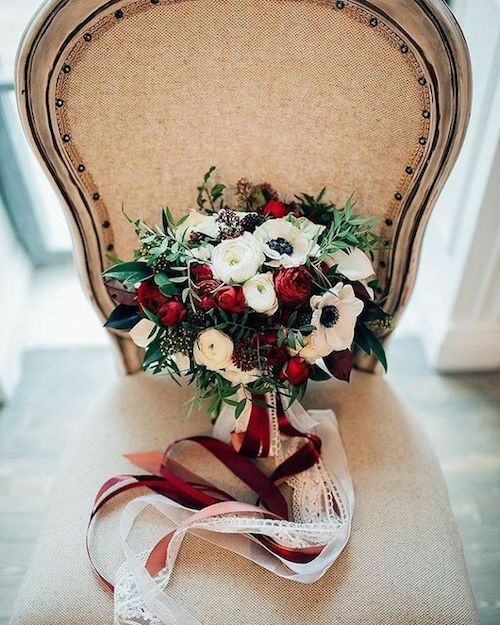 Love this crescent bouquet with moody colors, very 2018. 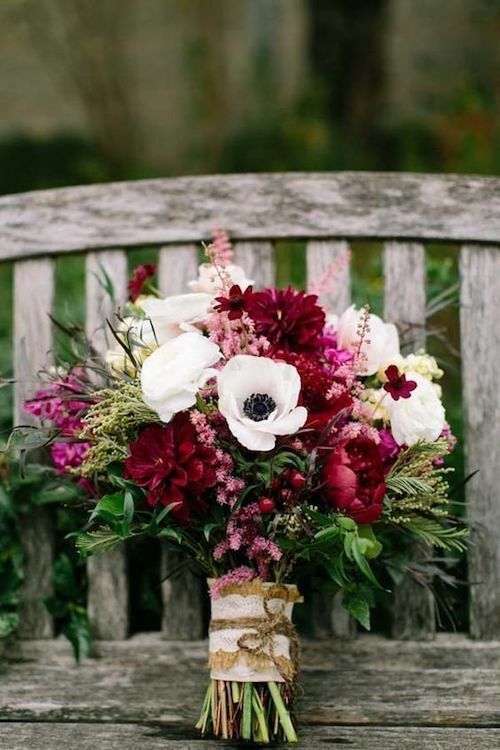 Gorgeous wedding bouquet ideas for winter that will inspire you. The following tips are a must to consider when choosing a wedding bouquet. 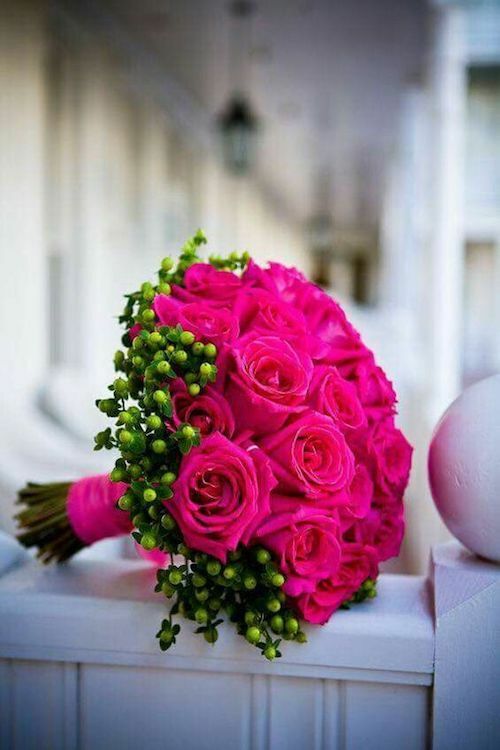 First, if your bridal bouquet is made out of fresh flowers, you have to have a reliable supplier who will deliver it the day of. 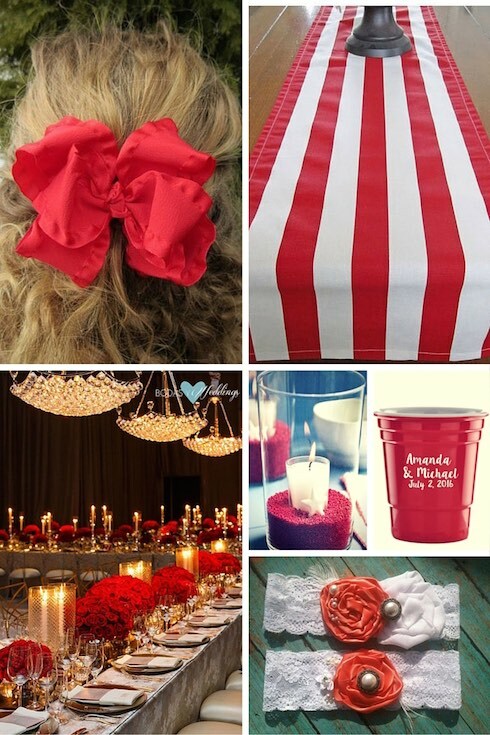 Your bridal arrangement has to look fresh and beautiful. Also, take into account the weight of the bouquet. 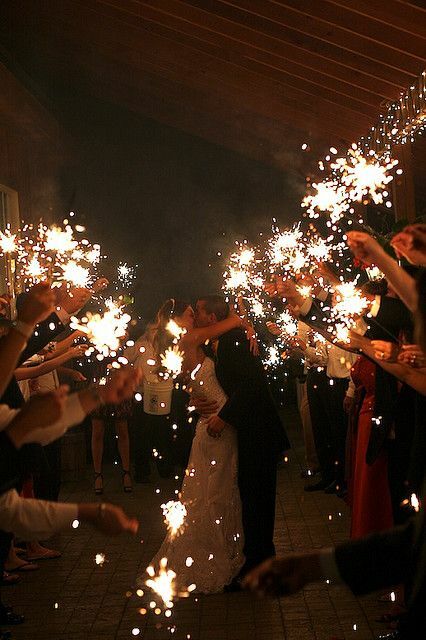 If you are not used to carrying a lot of weight or you are fidgety, choose a lighter and easy to carry wedding bouquet. You may not be allergic to your flowers but make sure that your boyfriend isn’t either. Nothing worse than teary wedding photos and a miserable time because of a bridal bouquet. 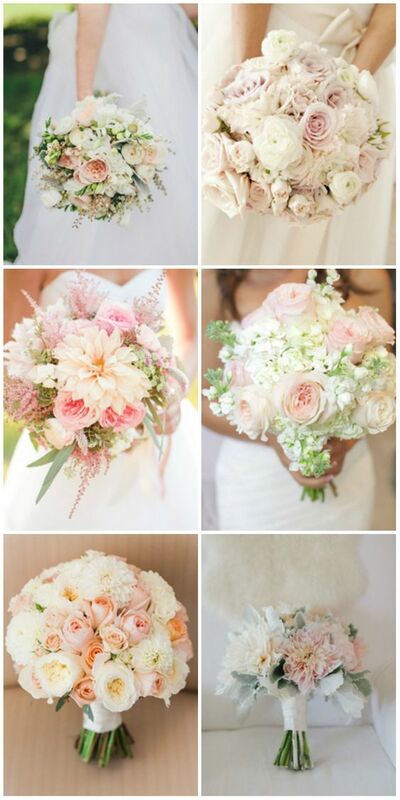 Seasonality can also influence the choice of your bridal bouquet’s flowers. Many greenhouses can supply you with your favorite flowers throughout the year, but if you want to save a little you go for flowers that are in season. 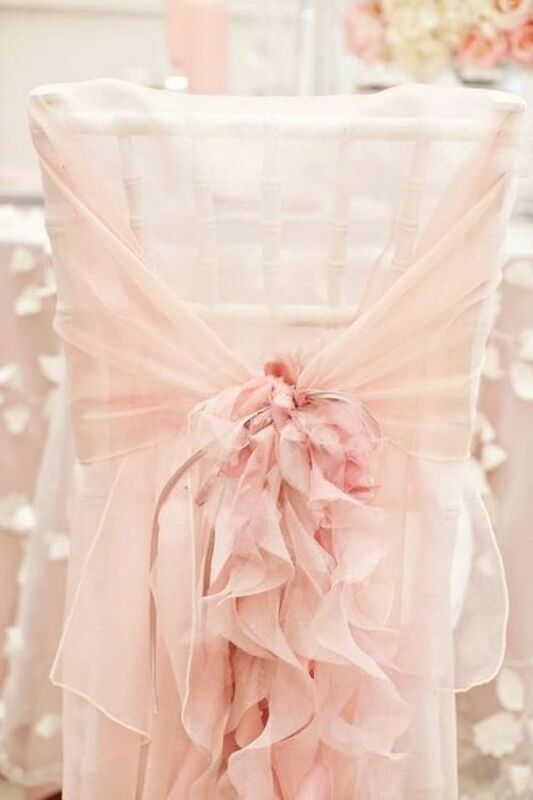 Take a look at this super cool wedding idea with garden roses, peonies and pink ribbons for the floral design. Rancho Las Lomas. 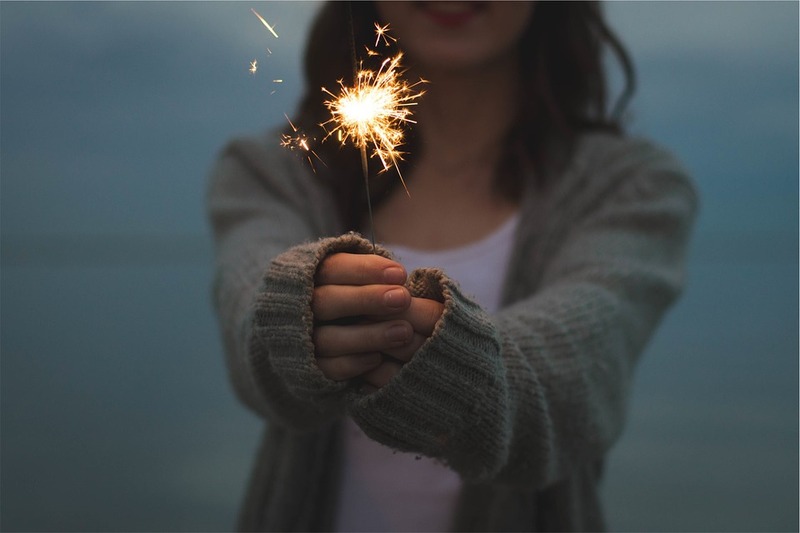 Image by Ashley Kelemen Photography. Now that we covered how to pick your perfect bridal flowers, let’s browse this amazing bouquet photo gallery. 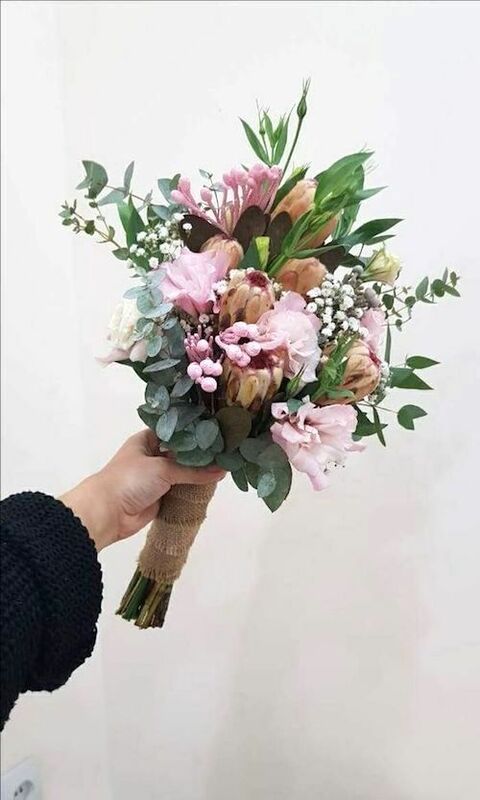 Choosing a wedding bouquet should be a fun experience but if you still have doubts, contact a few florists to help you out! 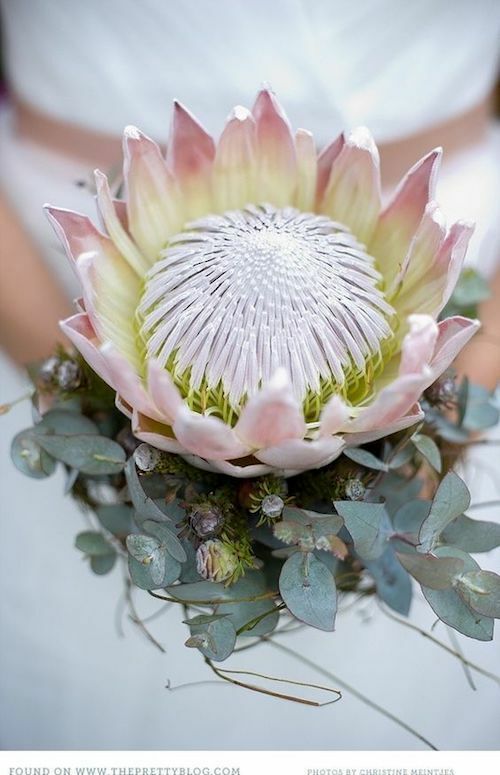 Check out this collection of bridal bouquets without flowers dedicated to the non-traditional, allergic or eco-conscious bride! 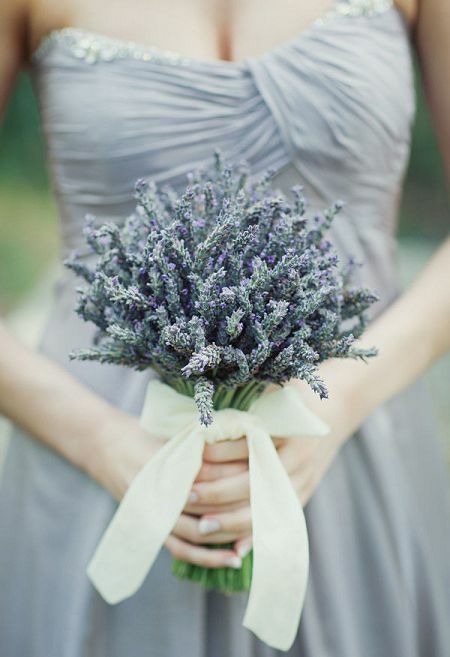 That special someone won’t be able to take their eyes – and nose – off this fabulous bouquet made with dried lavender. Not everybody wants flowers at their wedding. 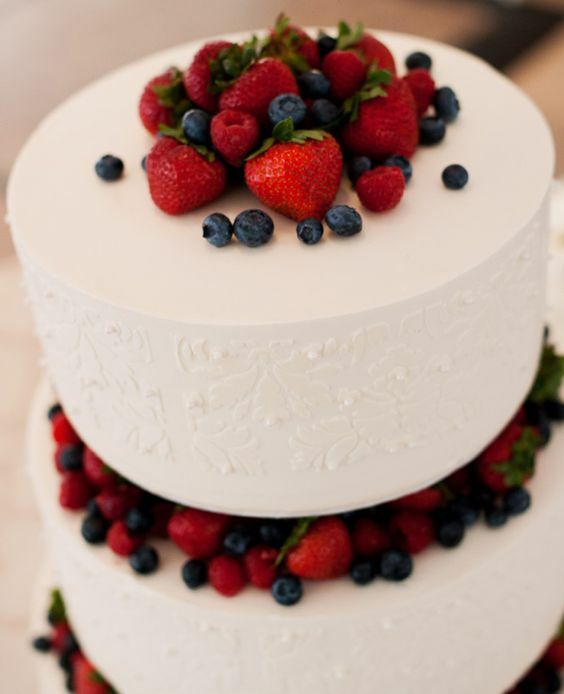 Some brides simply do not like them, others care about the carbon footprint their wedding will leave behind – for these brides, we recommend reading this article on farm to table catering. Other brides may want a bridal bouquet that fits an alternative-styled wedding and others may just be allergic to flowers! Bridal bouquets are a tradition that goes back hundreds of years. Back in the day wedding bouquets were carried as a ways for the bride to ward off evil. They didn’t necessarily have flowers, more like herbs and plants for good luck and protection. Since most people have forgotten the meaning of plants for these purposes these day’s bouquets have lost their original meaning. 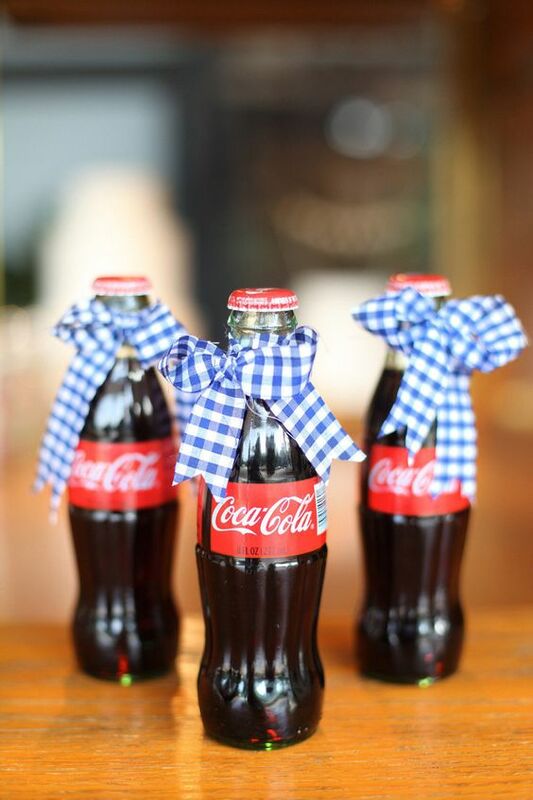 Therefore, brides can get creative with what they will be carrying down the aisle on their wedding day. Below are a few ideas for non-traditional wedding bouquets without flowers. On this day and age, if you are not allergic to pollen, somebody in your bridal party may be. By the same token, not all of us are fans of the traditional roses and brides are getting more and more original by the minute. To top it all off, greenery is taking over wedding decor this year. Why not take advantage of the creativity of these gorgeous and unique wedding bouquet ideas? Make your ceremony even more memorable with these non floral bouquets! Beautiful colors, interesting textures, and unique shapes, greenery can create exquisite, lush and low-budget wedding bouquets. 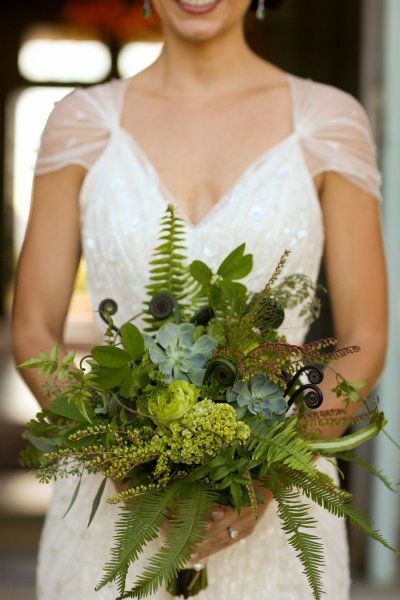 Get inspired by these gorgeous all-greenery bouquets! Clean and crisp palette, modern meets rustic styling, crazy-gorgeous greenery by Crocus Hale. Photography: Clark Walker Studio. 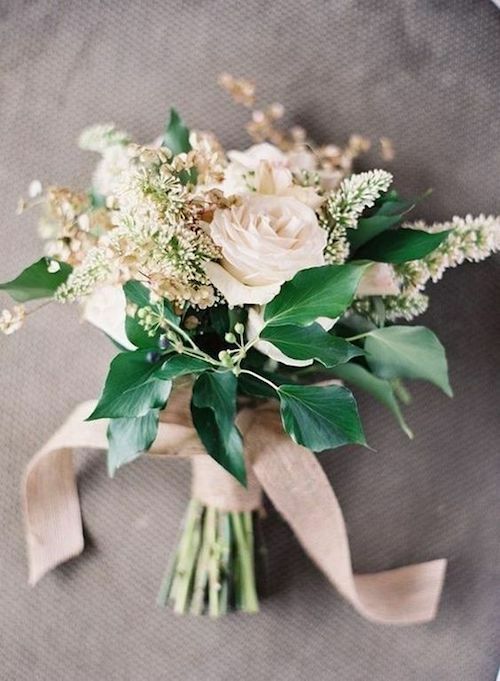 Create your alternative bridal bouquets with lush greenery. Depending on where you live, you may have other types of plants handy. 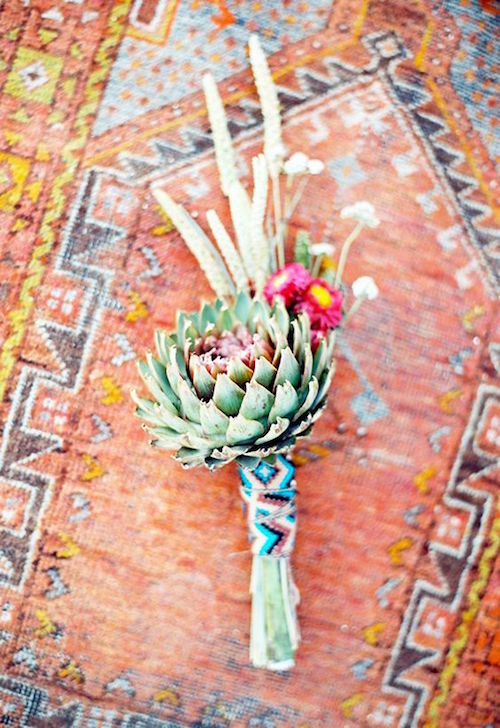 Meanwhile, we love this colorful Southwestern wedding bouquet. 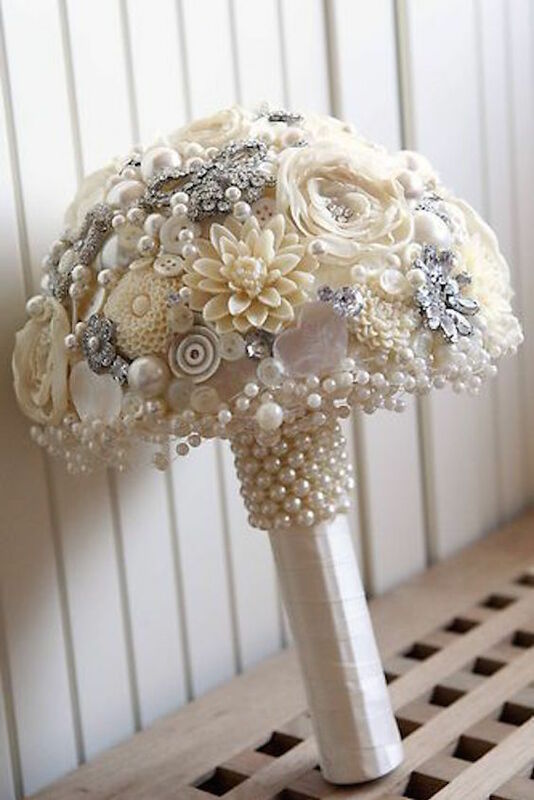 Non-Floral Brooch Bouquets: Oh! So Vintage! Bright jewel pins add a sparkle to a bridal bouquet. 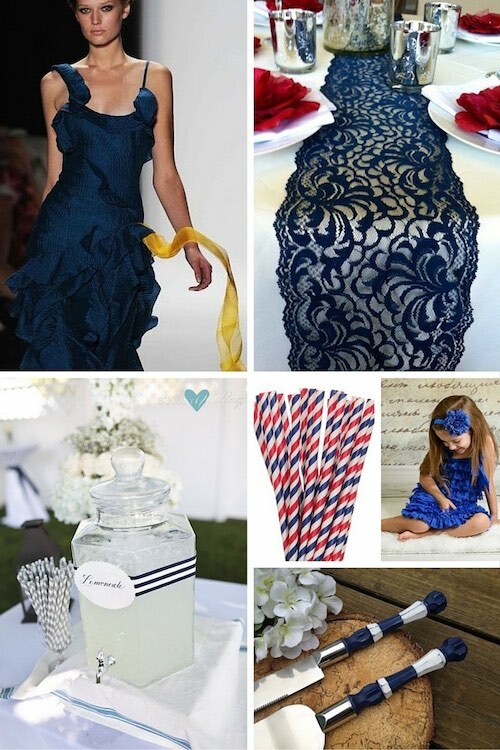 They can be coordinated to match the wedding colors. Perhaps consider using antique or heirloom brooches from a family member and turn your wedding bouquet into a true vintage masterpiece. 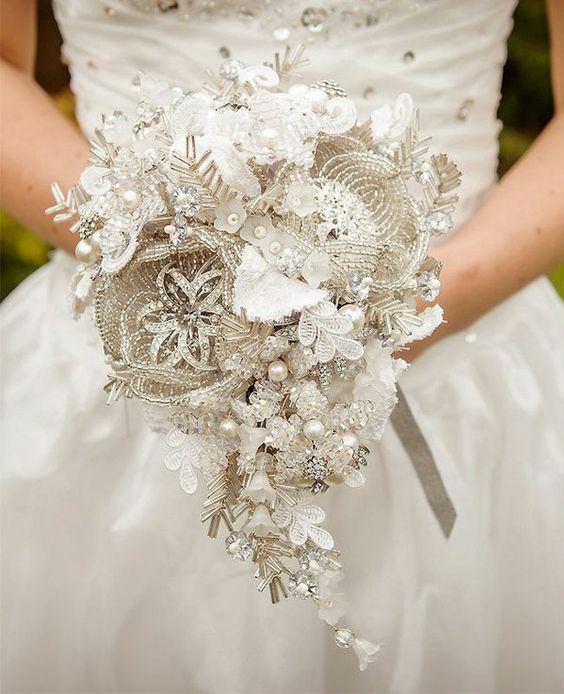 Brooches and buttons by themselves or mixed with felt flowers add a vintage feeling to the bride’s bouquet. 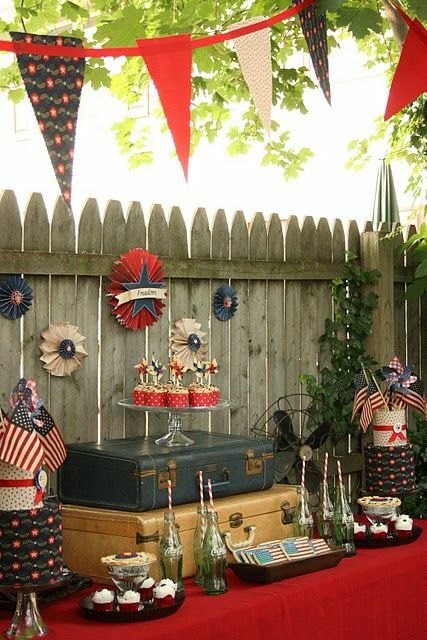 Also, try adding the buttons into centerpieces or party favors to keep continuity to the motif. Pink feather fan for a Gatsby wedding. Totally unconventional bridal bouquet. 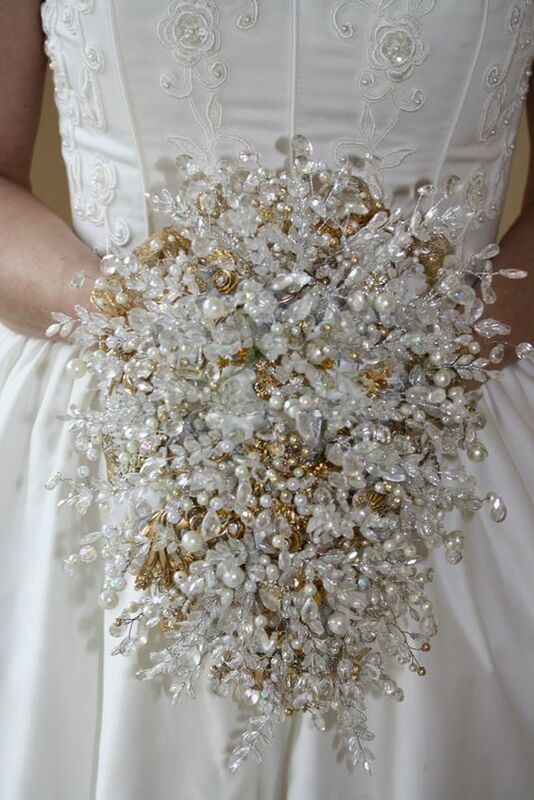 Carry a sparkly vintage brooch bouquet on your big day! 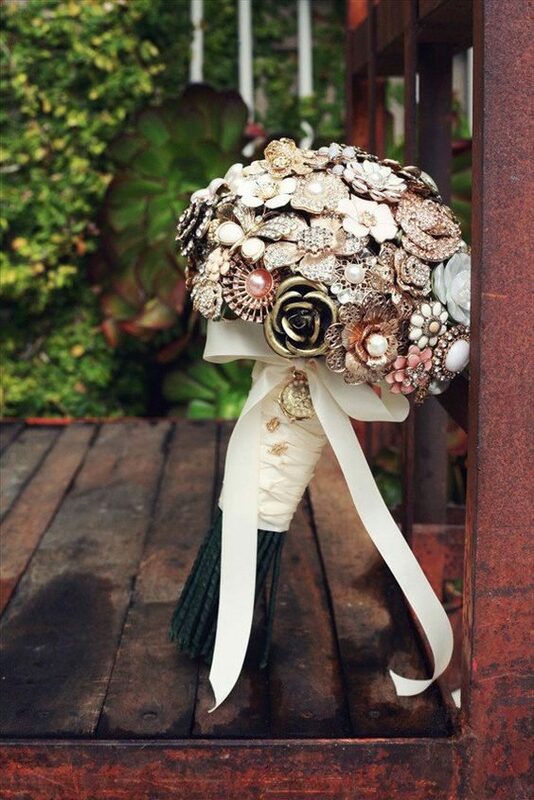 Turn your wedding bouquet into a true vintage masterpiece. Gorgeous and unique wedding bouquet ideas. 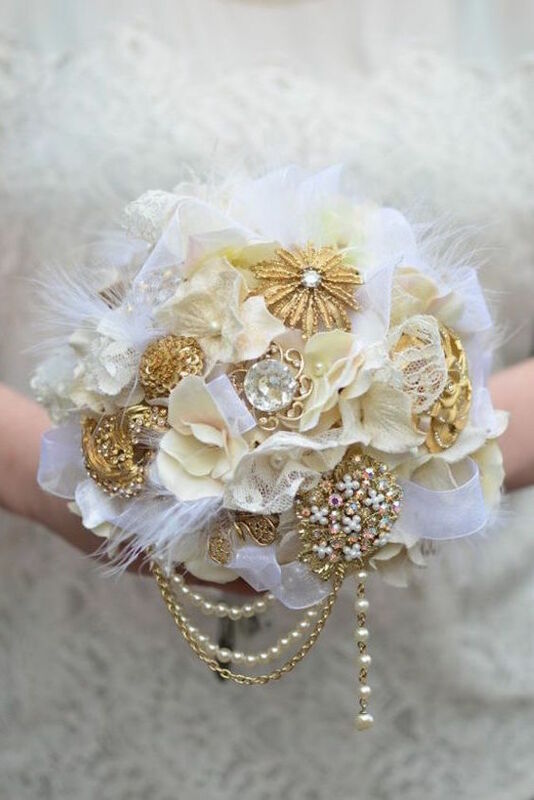 Vintage style artificial brooch bridal wedding posie bouquet. Beads pearls and fabric flowers in pure white. Non-traditional and unique bridal bouquets without flowers. 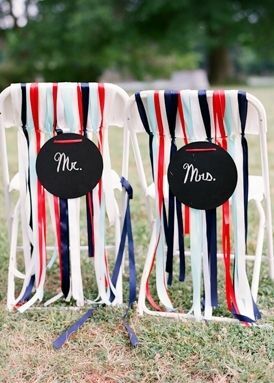 Tap into your inner childhood and carry balloons or a candy bouquet down the aisle. 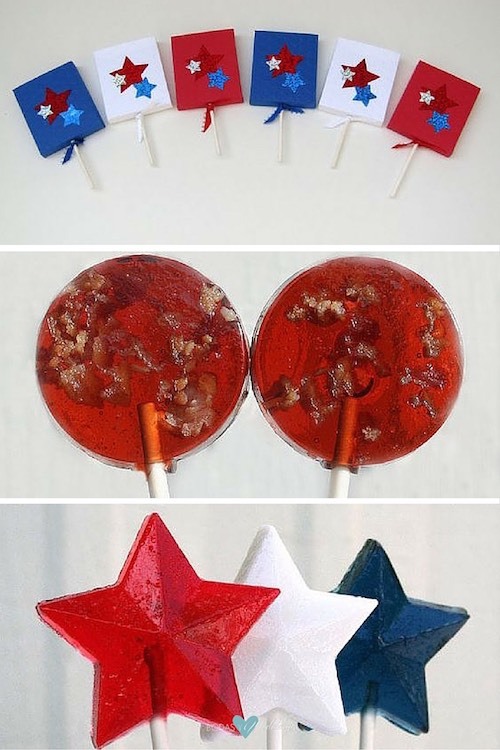 They add a fun element and would be perfect as a unique bridal bouquet without flowers. 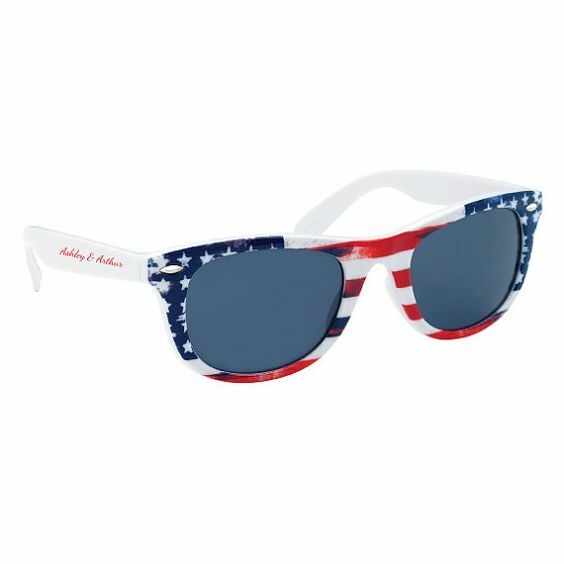 Another upside, they are much cheaper! 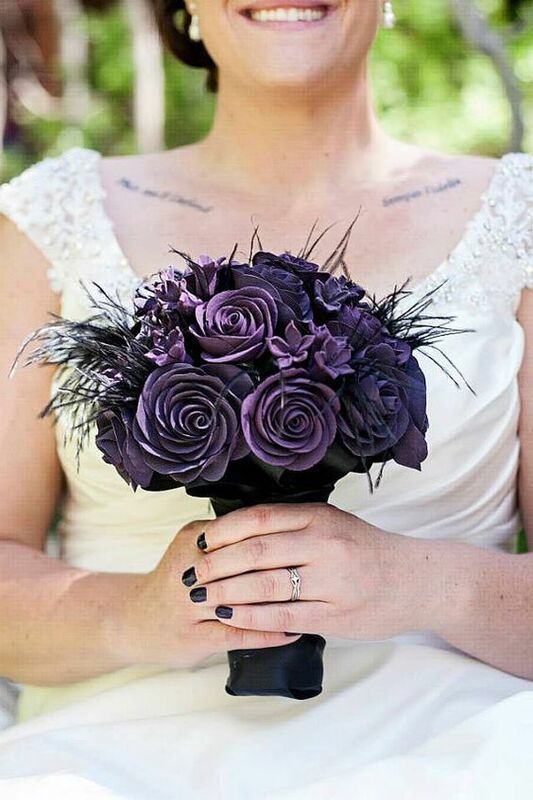 Seriously, whatever means anything to you can be a part of your unique bridal bouquets. 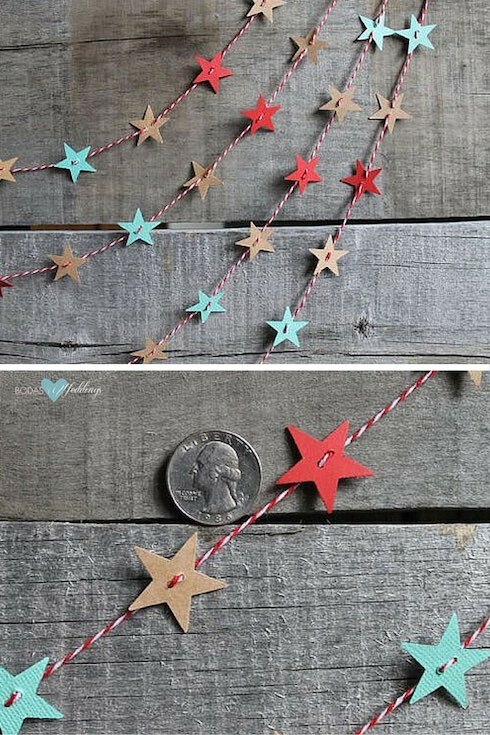 Add fun little handwritten messages on them. 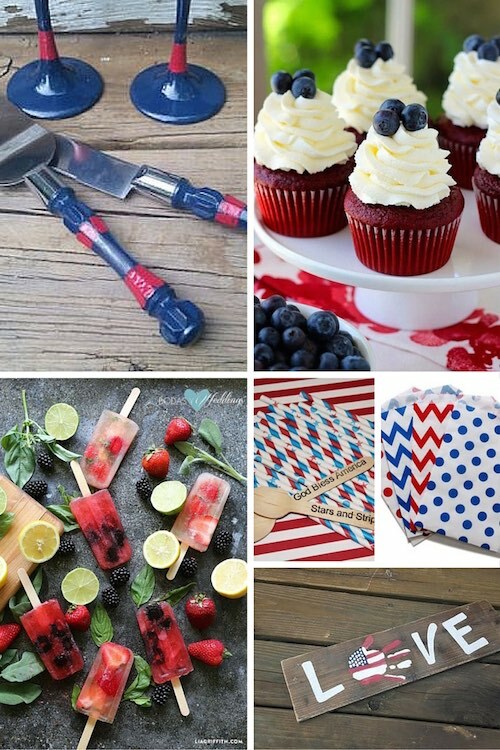 Toy dinosaurs, your favorite candies, and your collection of stamps, the sky is the limit. Show off your personality on your non floral wedding bouquet for your wedding day- it’s your day! 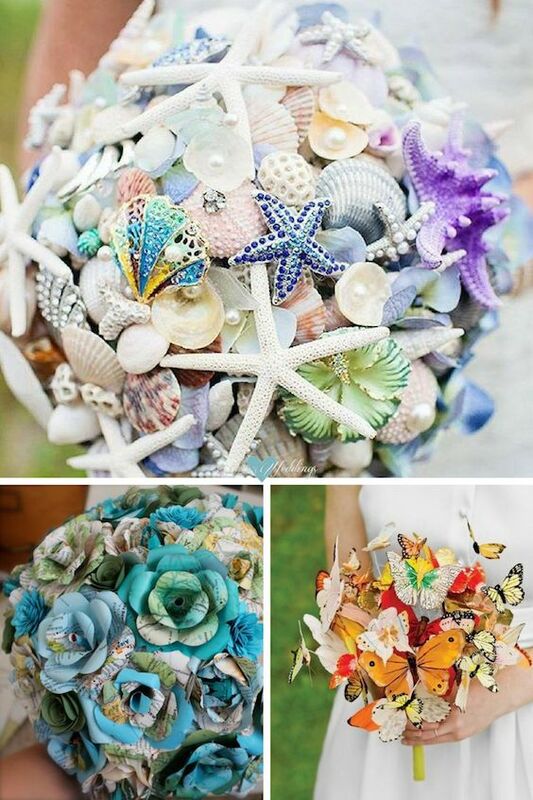 Fun and funky wedding bouquets for the non-traditional bride. 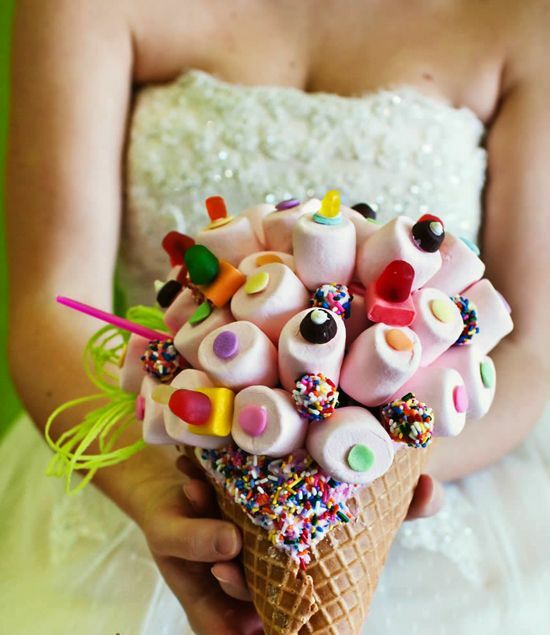 Candy bouquet of marshmallows and candy in cone. 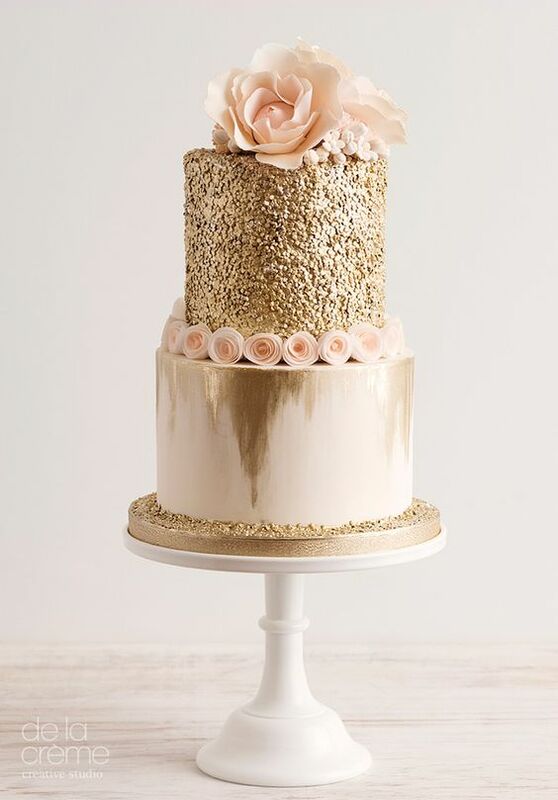 I don’t think it will make it to the wedding day! 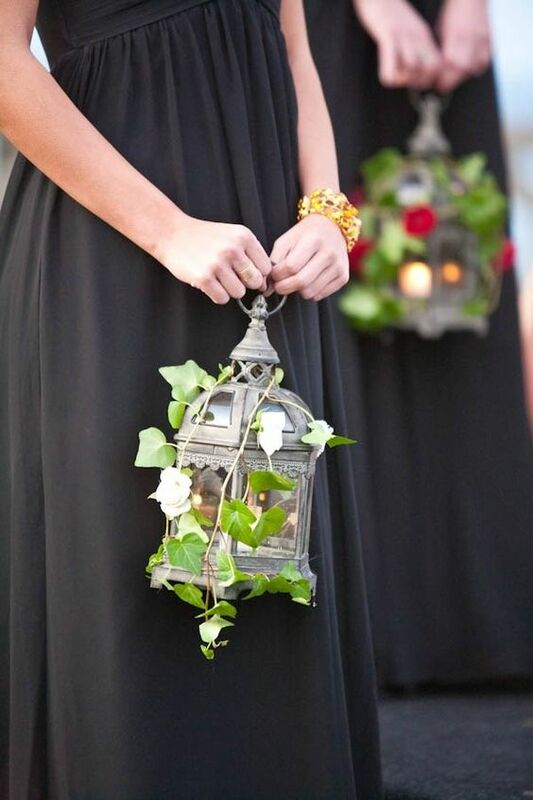 Bridesmaids light the way with lanterns instead of carrying bouquets. 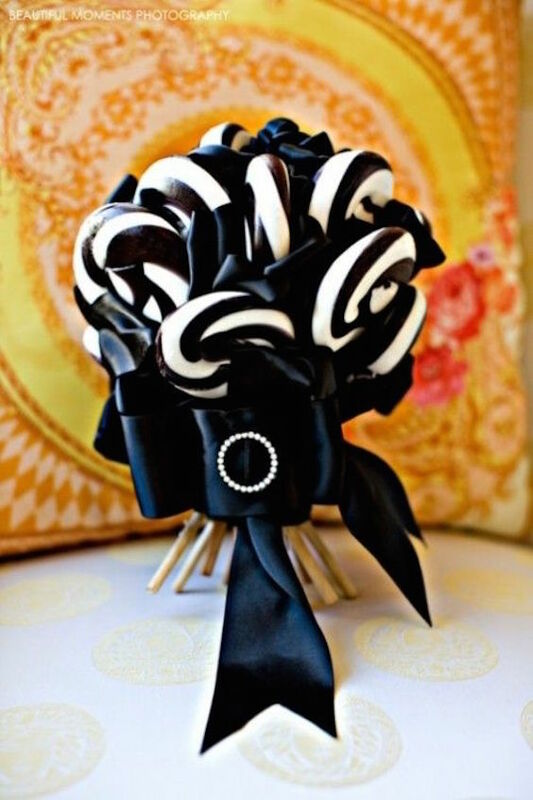 Unique and non-traditional candy wedding bouquets. 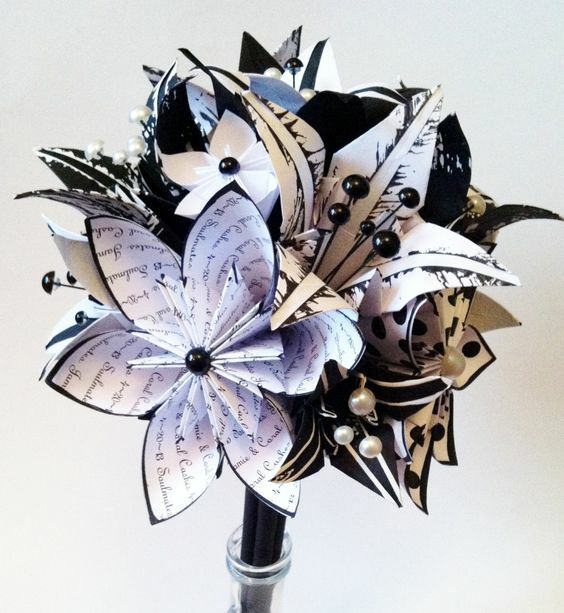 Gothic steampunk wedding paper flower bouquet. Definitely, a heirloom! 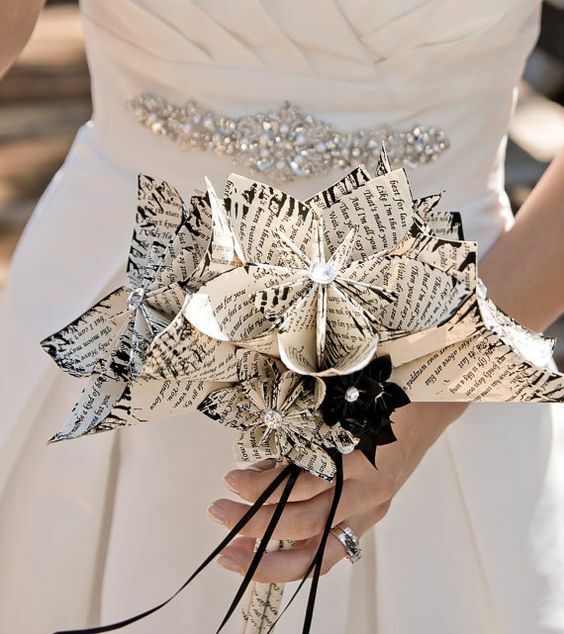 Gothic steampunk wedding paper flower bouquet. Affordable, romantic and unique bridal bouquets without flowers. These are just so pretty and soft looking in pale pink with cream. As much as we all love a beautiful bridal bouquet full of fresh flowers, it can be really fun to reinvent the classics. This non-floral bridal bouquet says it all. 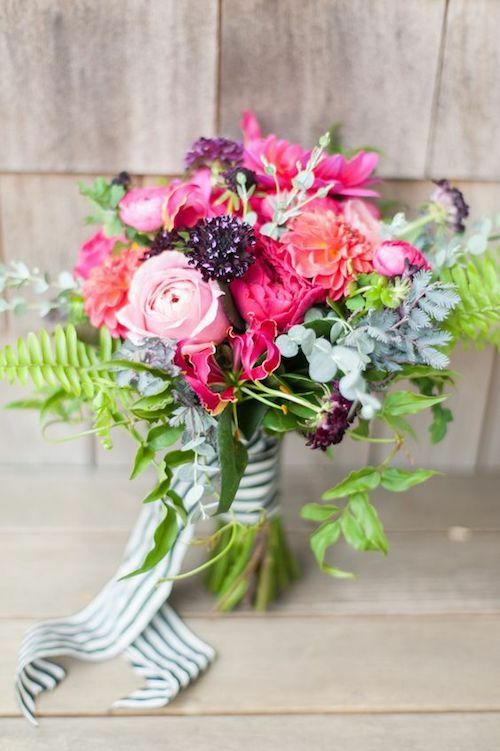 Splendid non-traditional wedding bouquets without flowers. I really enjoy the look of this bouquet. 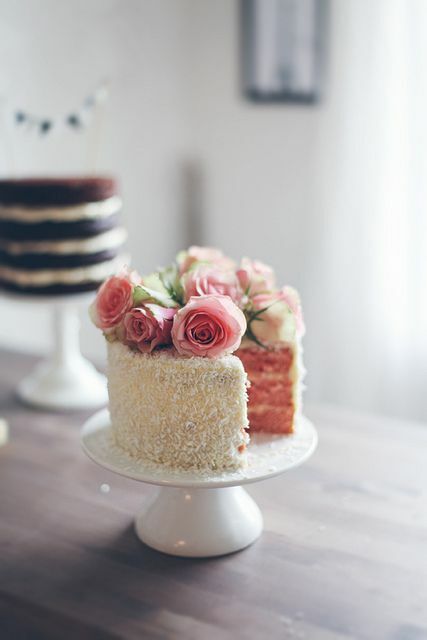 Ok, so flowers are the obvious choice for a wedding in the summer, but that doesn’t mean flowers are your only option. 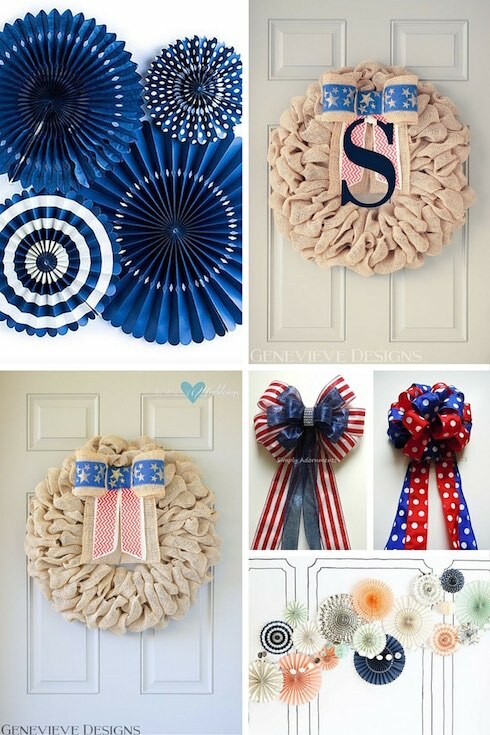 This is the perfect season to carry a paper fan or pinwheel paper flower. 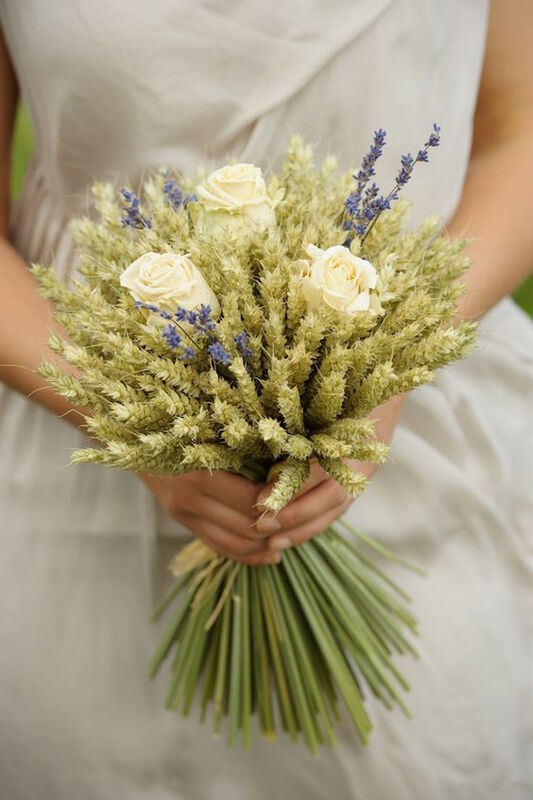 Some brides take advantage of the season to create beautiful, fragrant and unique bridal bouquets without flowers by added herbs like sage or rosemary or sprigs of lavender and wheat. Folded colorful paper flowers are unique ways to show off the bride’s personality while keeping the cost of the wedding down. 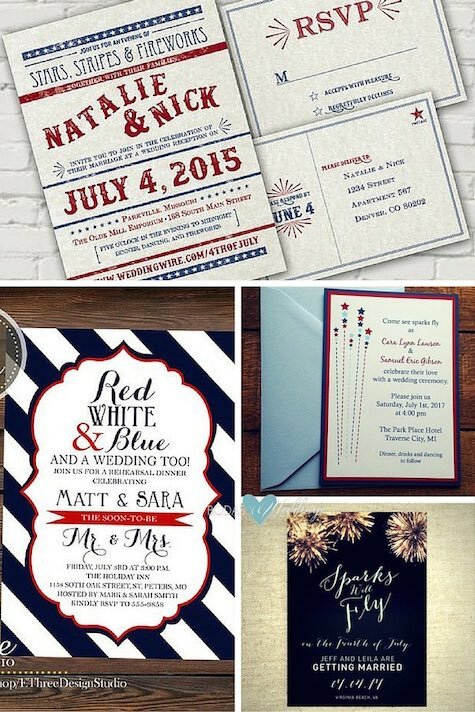 Most brides that go this route choose a paper that has deep personal meaning for them. 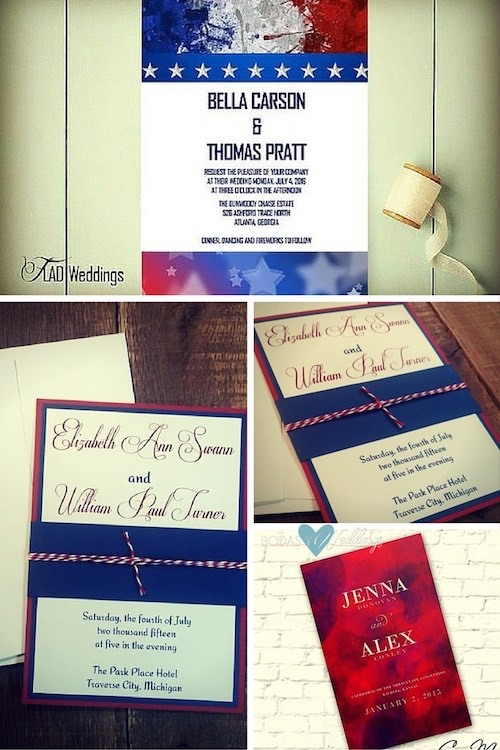 Sheet music of your favorite song, pages from a favorite novel, or an old personal letter can add a special touch to your wedding day. 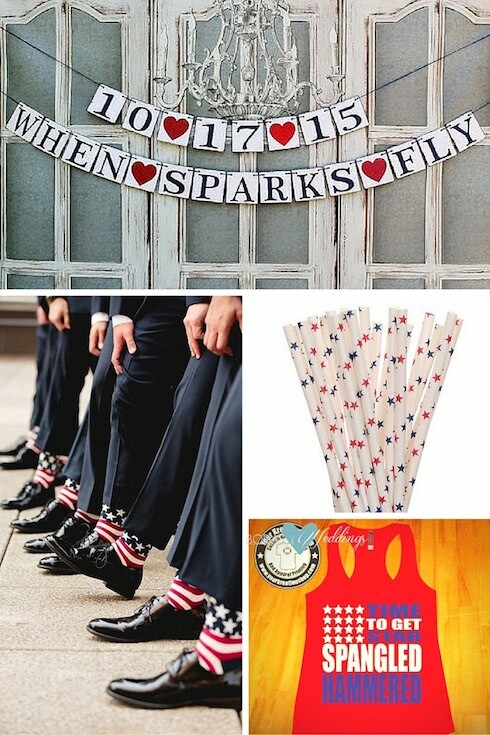 If you cannot part with the idea of a flowers but still want to save some money, check out this impossibly fun wedding idea. 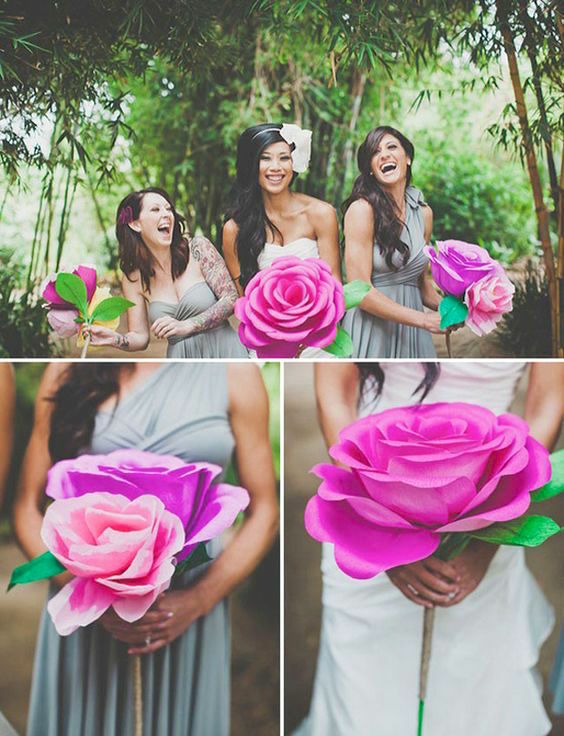 Bright pink paper flower bouquets. If you are looking for a fragrant, fresh and summery bouquet go no further. 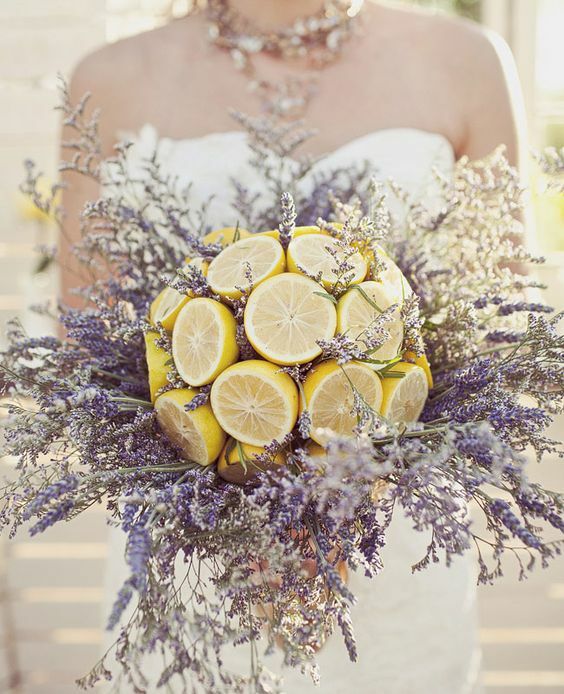 Unique lavender and lemon bridal bouquet. Make sure it’s hollow or it will be too heavy to carry. Wedding photographer: Jagger Photography. 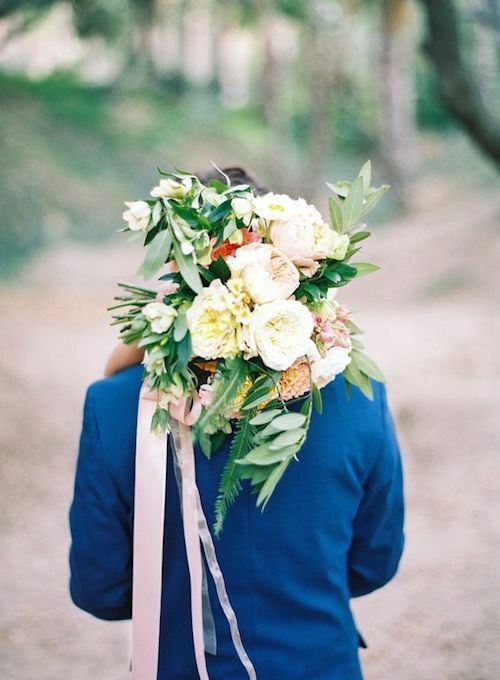 Wedding bouquet ideas for summer for the non-traditional bride. 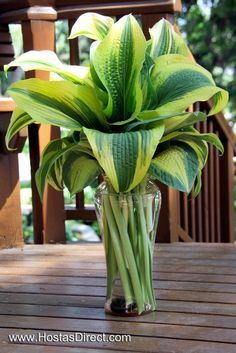 Unique wedding bouquets without flowers. Rose and peony National Geographic map paper flower bouquet. Butterfly bouquet for the rehearsal. 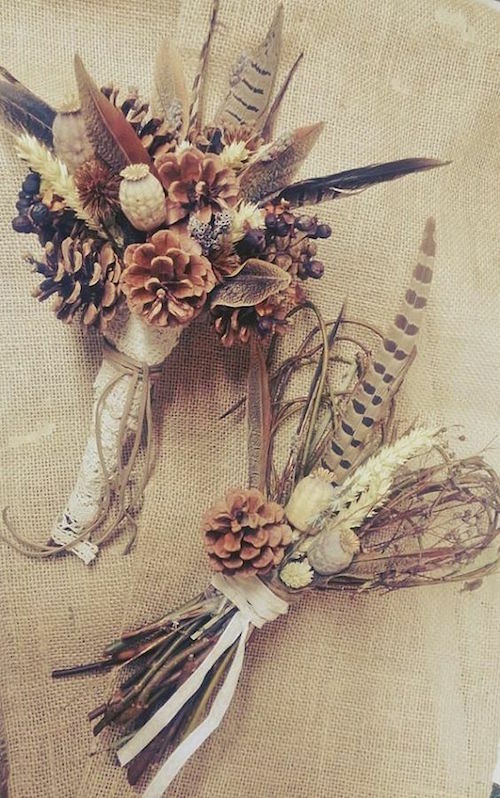 Let your imagination run wild when creating winter bridal bouquets without flowers! Fall or winter weddings are the perfect time to stray away from the traditional flower bouquet. Evergreens or pinecones give more of a “wintery” feel. Or if you want to use an inorganic material, consider using pearls and beads. Flowers formed from burlap for a non-traditional wedding bouquet. 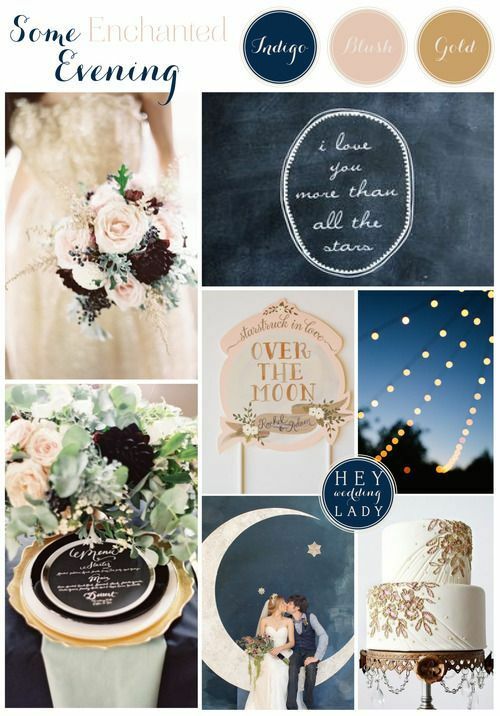 This look is perfect for a rustic themed wedding. 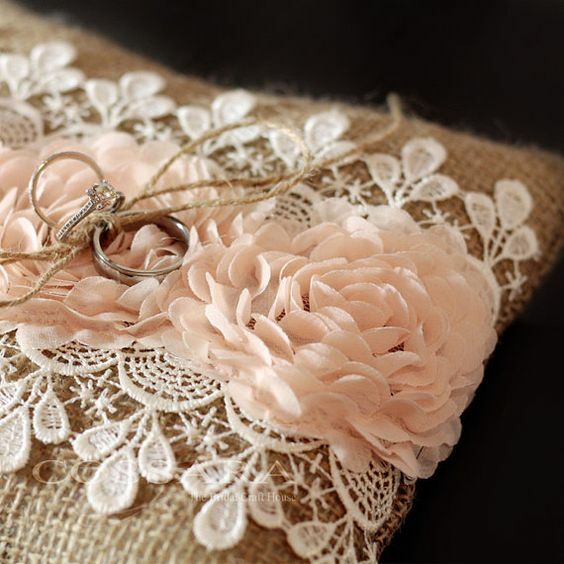 It can be tied into other wedding decorations like table runners or banners. Origami flowers & lilies wedding bouquet. A personalized, one of a kind, non traditional, alternative wedding bouquet. 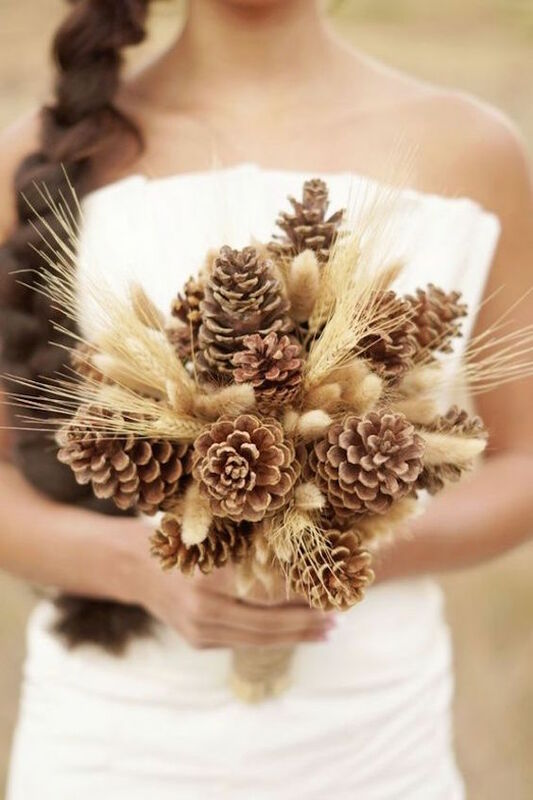 Woodland weddings deserve this unique wild feather and pine cone bouquet. Isn’t it gorgeous? 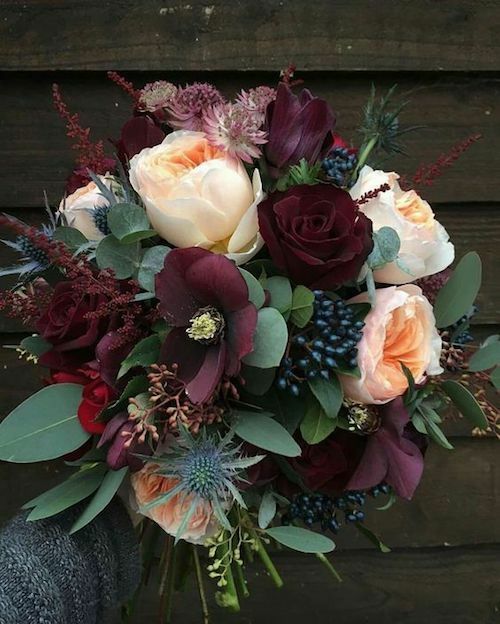 Colorful and unique fall bride’s bouquet without flowers. 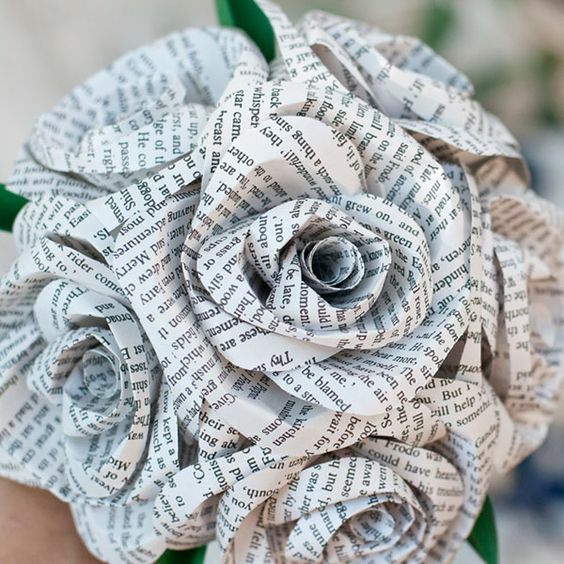 Alternative bridal bouquet made from books. 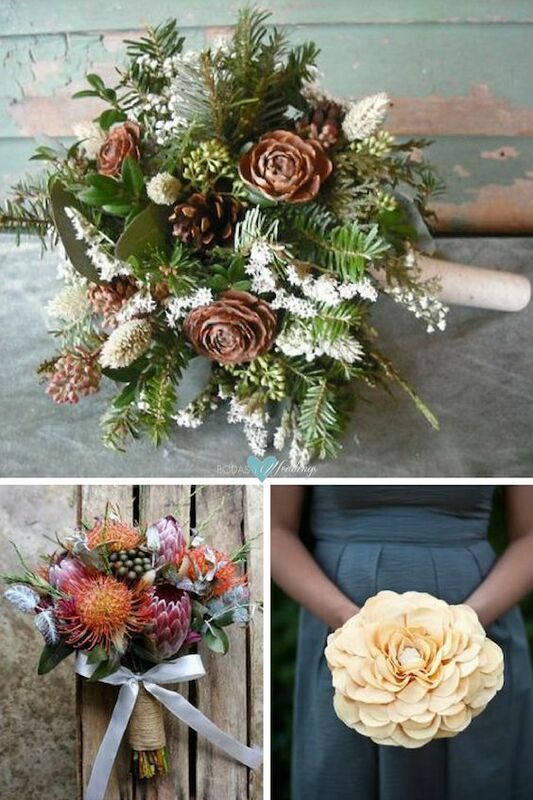 Non floral winter wedding bouquets from books. 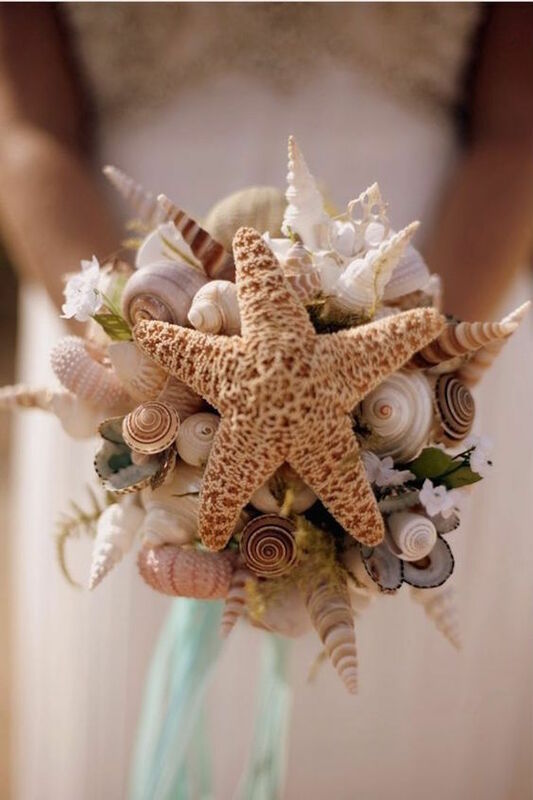 Seashell bouquet for an original beach wedding. 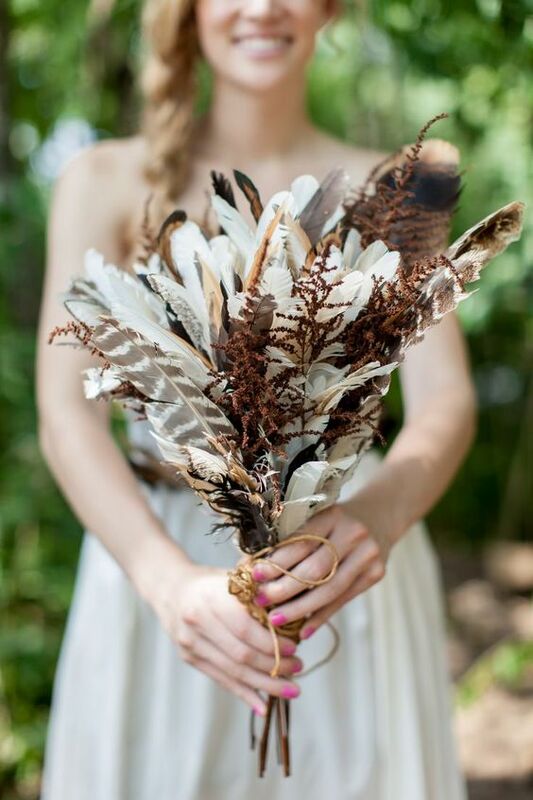 Absolutely stunning bride’s bouquet with feathers. Fun and unique wedding bouquets for the alternative bride. 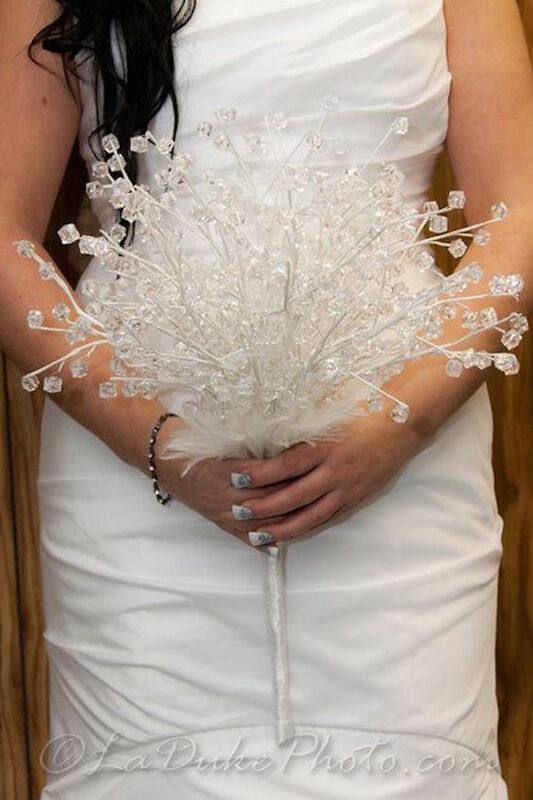 Creative winter wedding bouquet with white crystals. 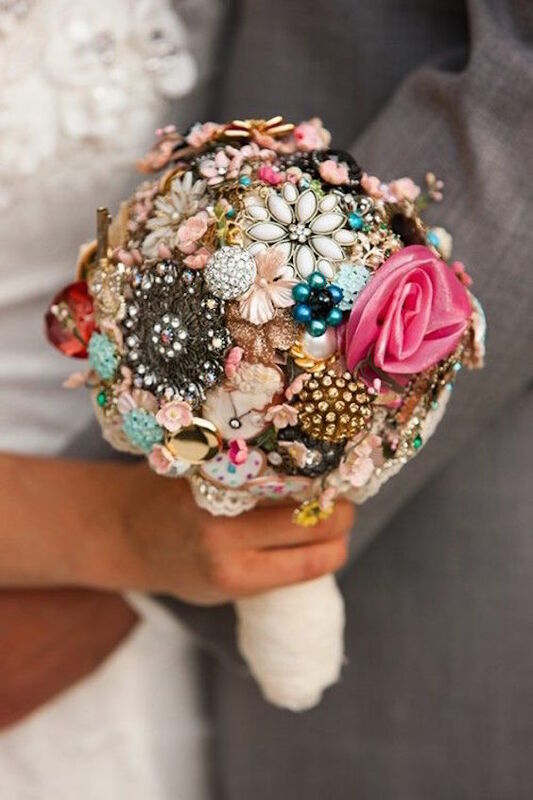 Most adorable jewelry and fabric flowers bouquet. Non-Floral Bridal Bouquets for Winter Weddings. Non-floral wheat wedding bouquet ideas for extraordinary brides. 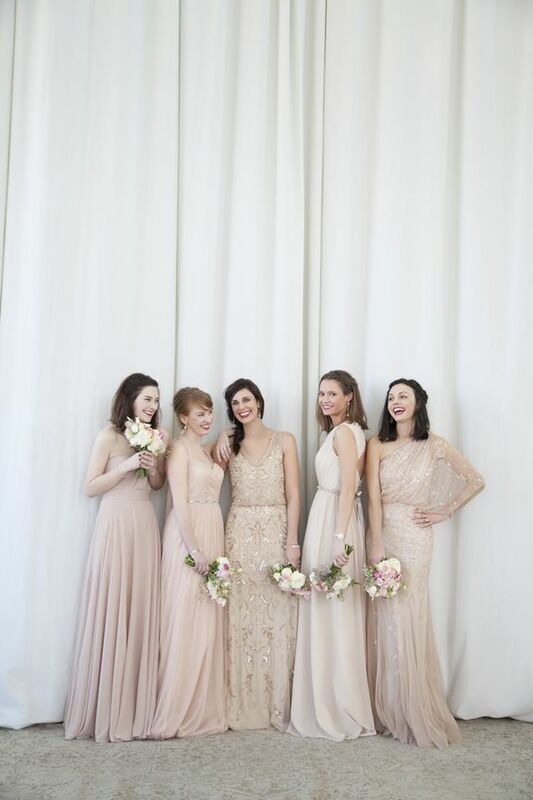 A gorgeous alternative for the eco-conscious bride.